Details of any changes made to the YouChoos.co.uk website can be found here, which will hopefully make it easier to locate added/updated items, latest changes at the top. New sound project for LNER J70 Tram engine on Zimo, with install guide for Model Rail OO gauge model. Restructured website - major changes to navigation and layout of Shop pages and Install Guide pages, including search facilities within each. New sound project for LNER N7 on Zimo. 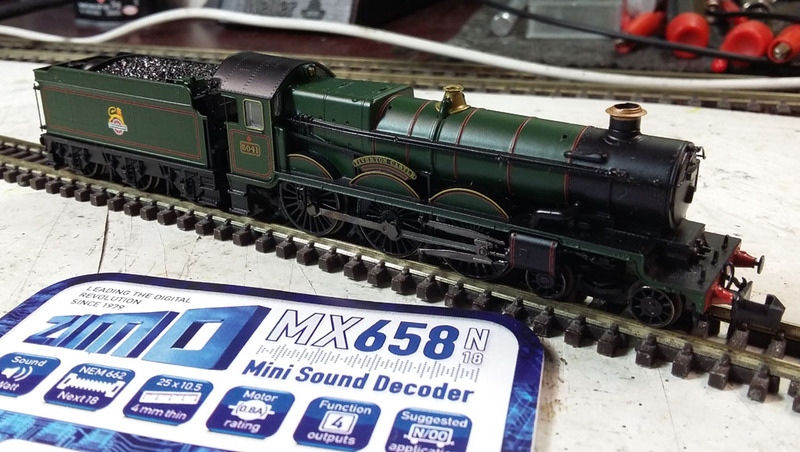 Added new install guide for Graham Farish N gauge Class 37 diesel using the Zimo MX660 drop-in sound decoder, SugarCurve6 speaker and stay-alive. 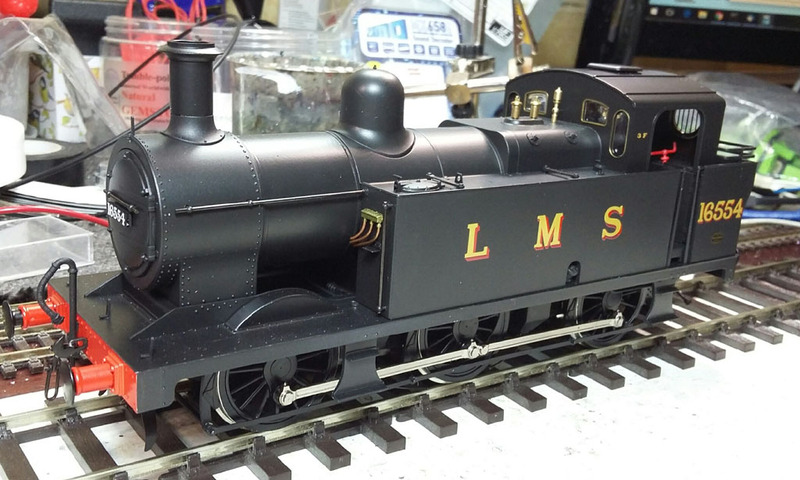 New sound project for LNER J36 on Zimo, with install guide for Hornby OO gauge model. Added new single and double IceCube range of 3D speakers in mm height steps - 'the clear(ish) ones!'. Added new single and double SugarStrand range of 3D speakers in mm height steps - 'the purple ones'. Added new single and double SugarCube range of 3D speakers in mm height steps - 'the green ones'. 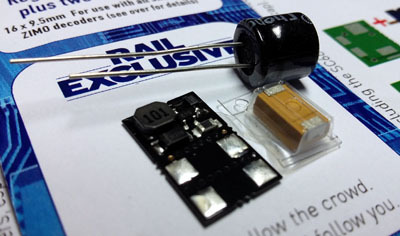 Added new install guide for Heljan O gauge GWR 43XX Mogul with Zimo sound and custom speaker. New sound project for LNER Steam Sentinel Y1 on Zimo, with install guide for Model Rail / Dapol OO gauge model. New sound project for SNG Stirling Single on Zimo - sample audio track available to listen to, with install guide for Rapido OO gauge model. 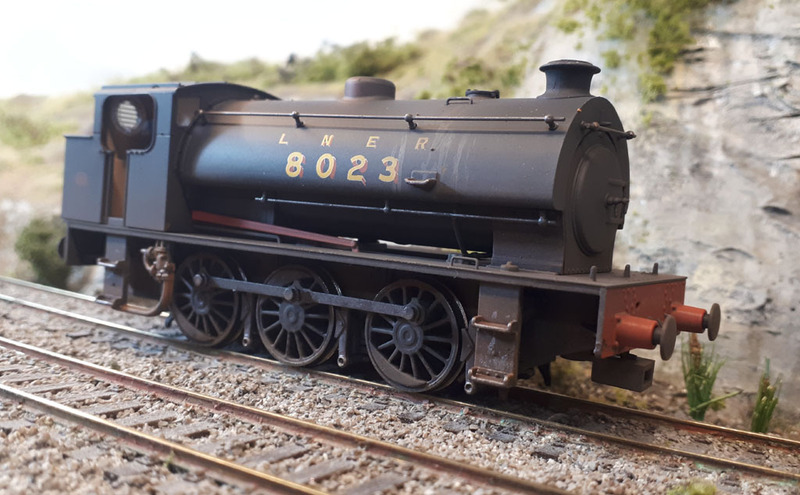 Added new install guide for Hornby OO gauge LNER Q6 with Zimo sound. 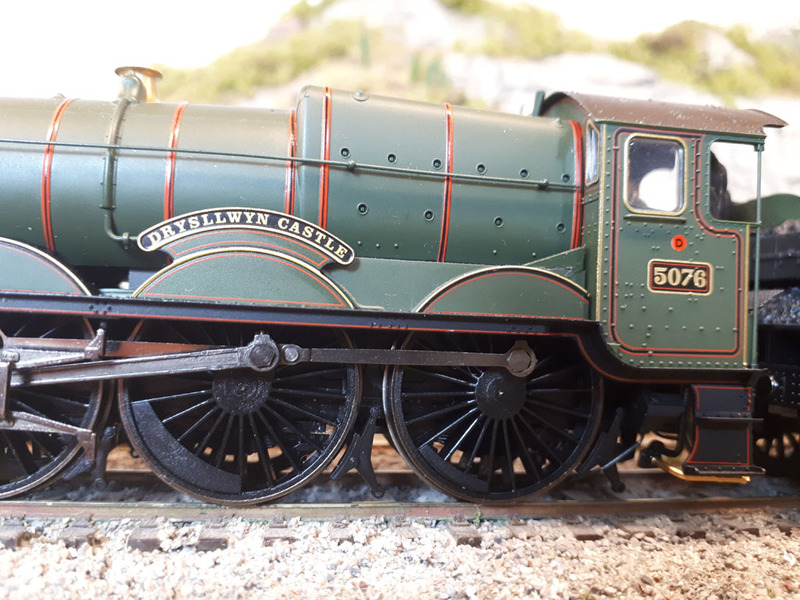 Added new install guide for Hornby OO gauge GWR Castle with Zimo sound. Added new install guide for Hornby OO gauge LNER A3 with Zimo sound, stay-alive and huge EM2 TangBand speaker. 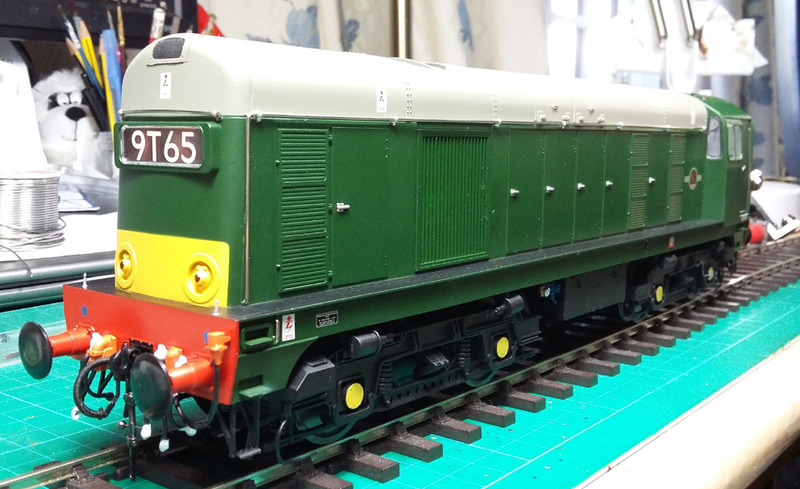 Added new install guide for Heljan OO gauge Class 07 diesel with Zimo sound and stay-alive. 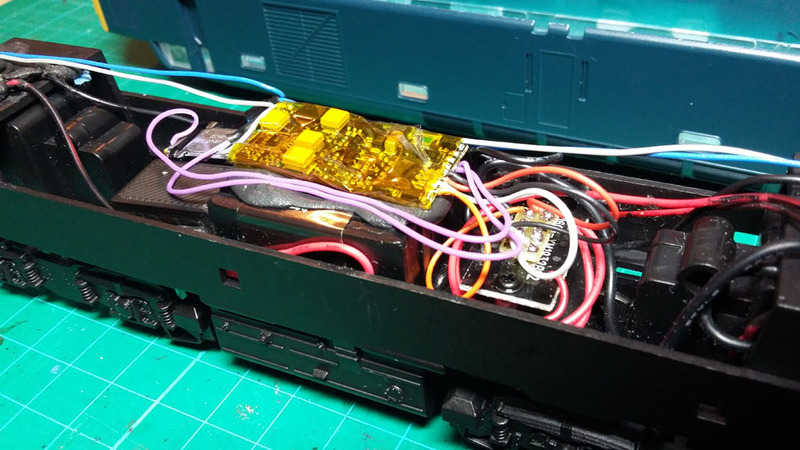 Added new example of install guide for DJM OO gauge J94 with Zimo sound and stay-alive. Added new install guide for Bachmann OO gauge LMS G2 Super-D with Zimo sound. Added new install guide for Bachmann OO gauge GWR Prairie with Zimo sound. 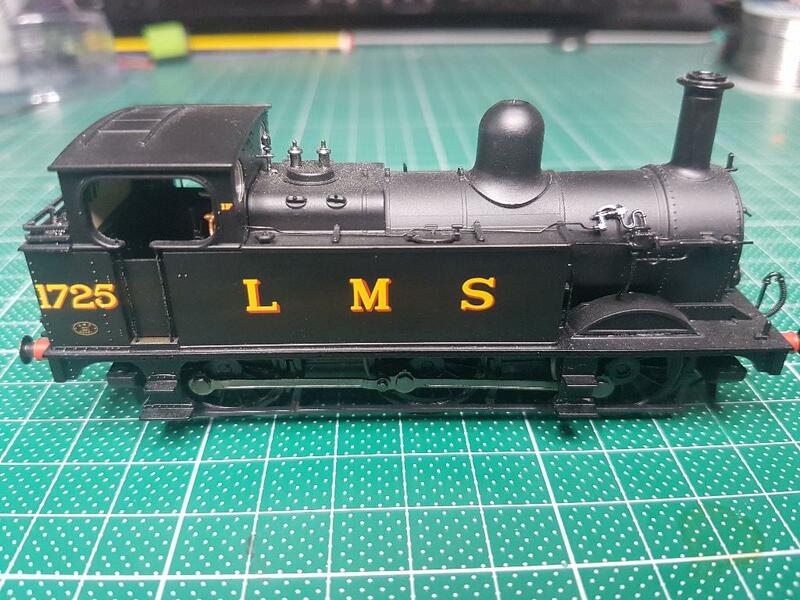 Added new example of install guide for Bachmann OO gauge LMS 3F Jinty Tank with Zimo sound. 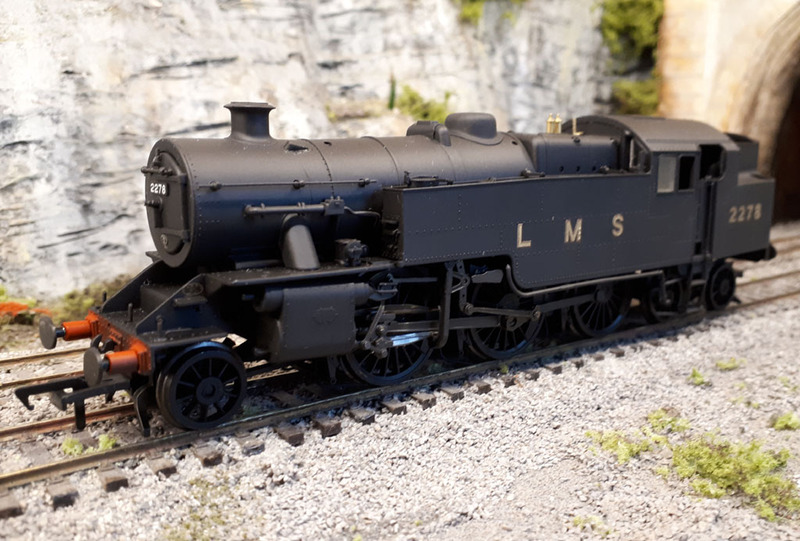 Added new install guide for Bachmann OO gauge LBSCR H2 Atlantic with Zimo sound. Added new install guide for Bachmann OO gauge GWR Collett Goods with Zimo sound. Added new install guide for Bachmann OO gauge Standard 3MT with Zimo sound. 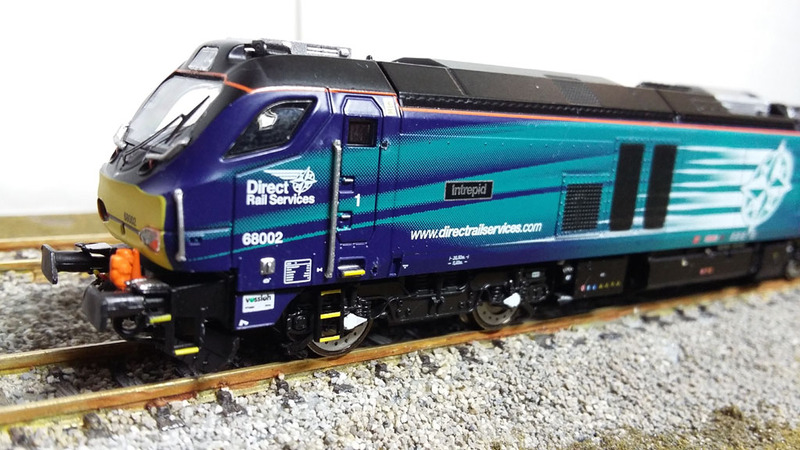 Added new install guide for Farish N gauge Class 70 diesel with Zimo sound. Added new install guide for Farish N gauge GWR Diesel Railcar with Zimo sound. Lots of new Ready-To-Run Models added to shop. Restructued install guides web pages. 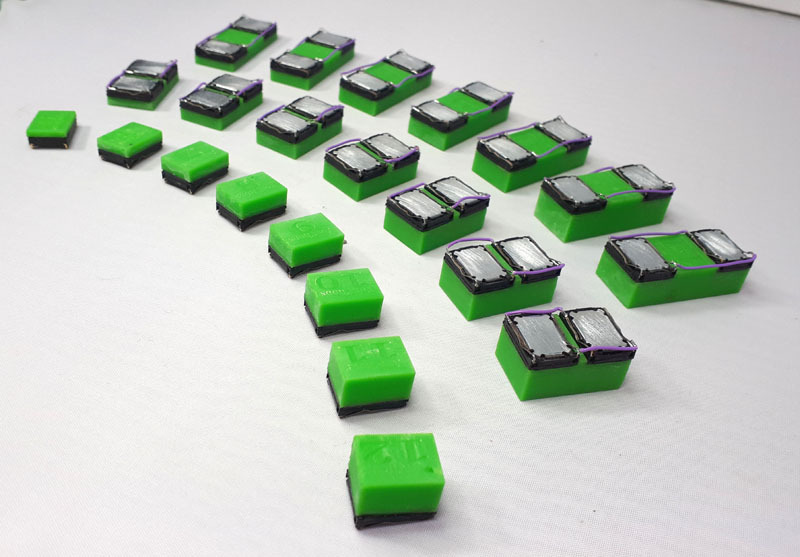 YouChoos is now a retailer of DigiKeijs products, including the amazingly diverse DR5000 command station, feedback modules, accessory decoders, and much more - browse the shop for more products! Added new install guide for Hornby OO Class 50 diesel with Zimo sound and Stay-Alive. 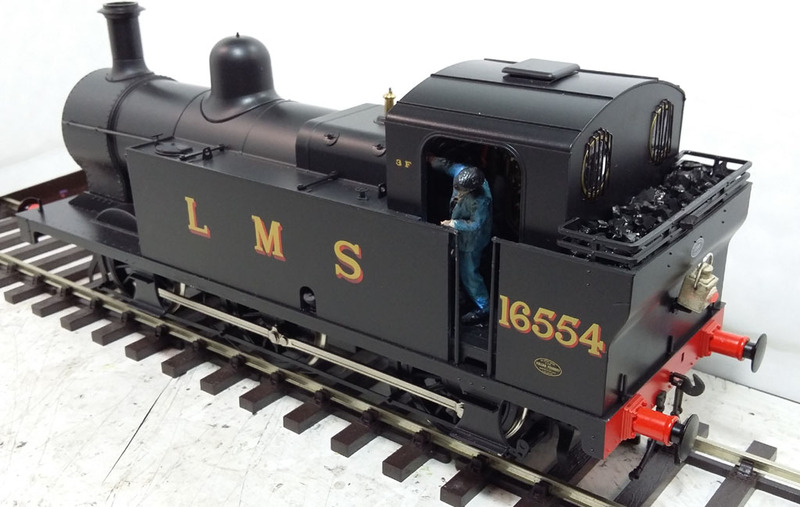 Added new install guide for Bachmann OO LMS Fairburn Tank with Zimo sound and Stay-Alive. Added new example install guide for Farish N gauge Class 08 diesel with Zimo sound and Stay-Alive. 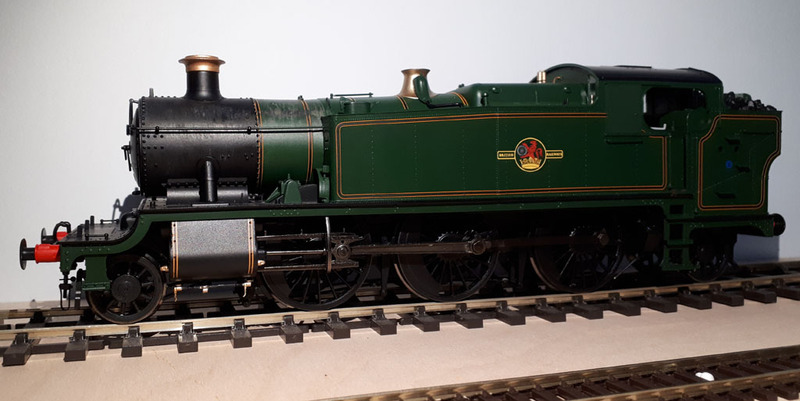 Added new install guide for Heljan O gauge GWR 61XX large Prairie. 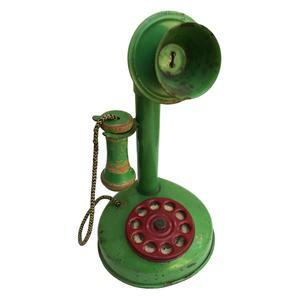 New phone number - 01380 530 530 - cheaper calls for you! 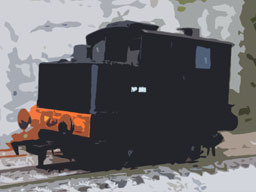 Added new install guide for DJM OO gauge J94. Added new install guide for Hornby OO gauge Class 40 (Railroad). Added new install guide for Graham Farish N gauge LNER A2. Added new example install guide for Farish N gauge Class 08 diesel with Zimo sound. 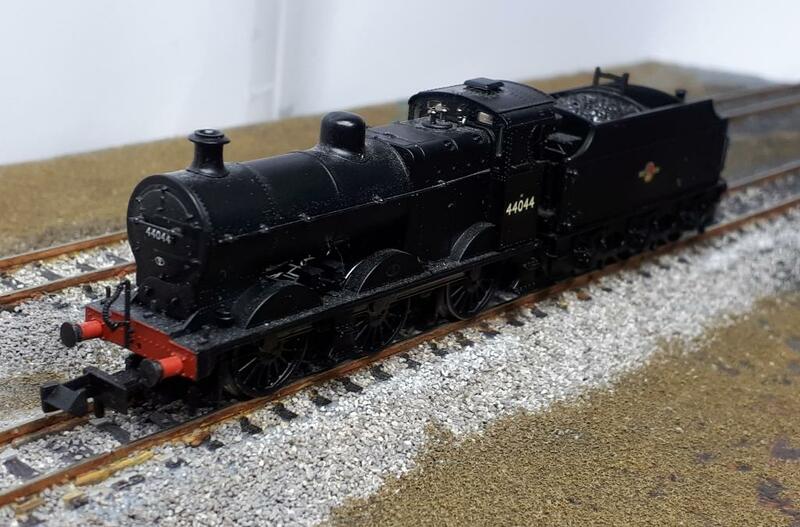 Added new install guide for Dapol OO LSWR Adams B4 0-4-0 Tank including stay-alive. Added Zimo MX659N18 Micro Next18 sound decoder - to shop. 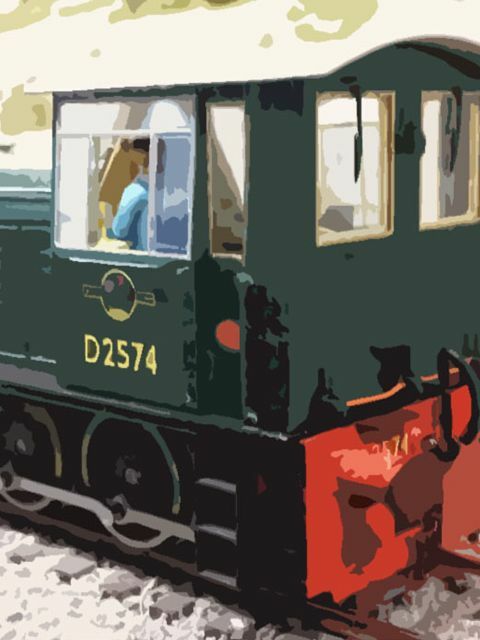 New sound project for Class 37/0 Diesel on Zimo - sample audio track available to listen to. 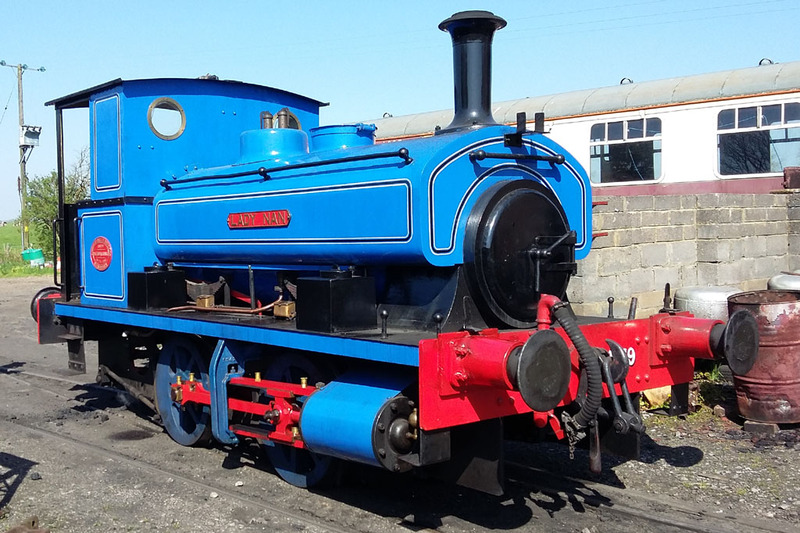 Updated install guide for Hattons OO Andrew Barclay 0-4-0 Saddle Tank to include stay-alive option. 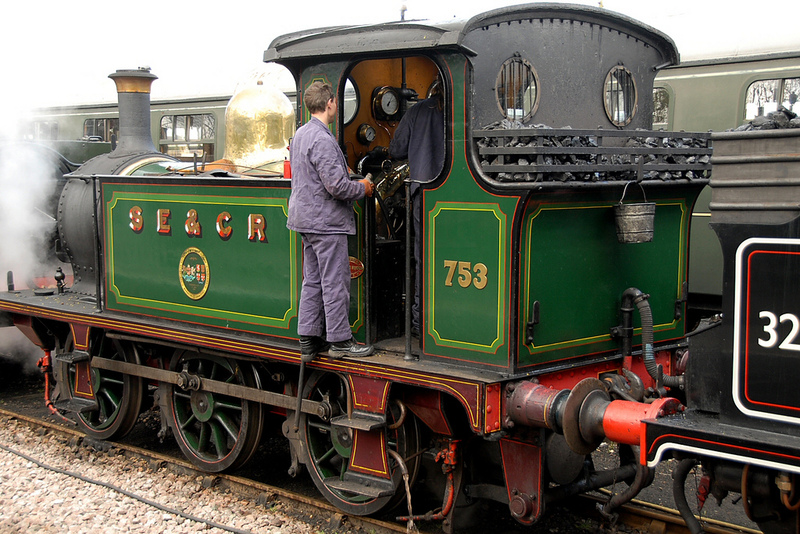 New sound project for Andrew Barclay 0-4-0 Saddle Tank on Zimo - sample audio track available to listen to. Added new install guide for Oxford's Adams Radial with Zimo sound and SACC16 stay-alive. Added new install guide for Farish N Gauge Class 42 'Warship' with Zimo sound and SACC16 stay-alive. Added new example to install guide for Farish N Gauge Class 37 Diesel with Zimo sound and SACC16 stay-alive. 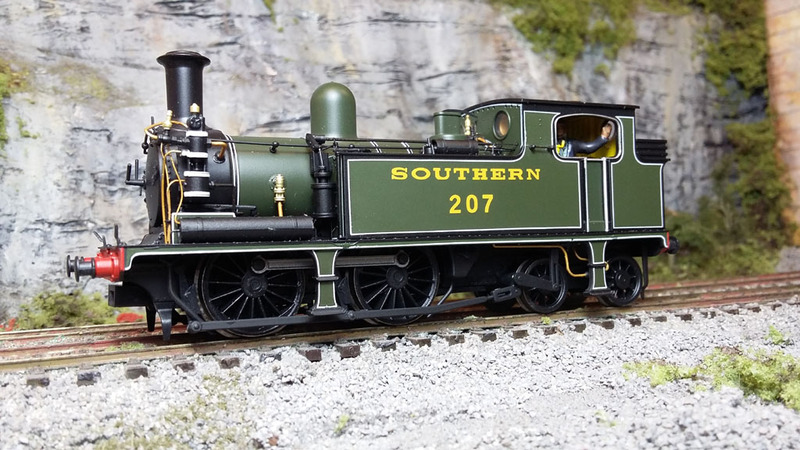 Added new example to install guide for DJM/Kernow OO gauge LSWR Adams O2 with Zimo sound. Added new install guide for Heljan OO gauge GWR Class 47XX 'Night Owl' with Zimo sound. Added new example to install guide for Bachmann OO gauge Class 70 Diesel with Zimo sound. 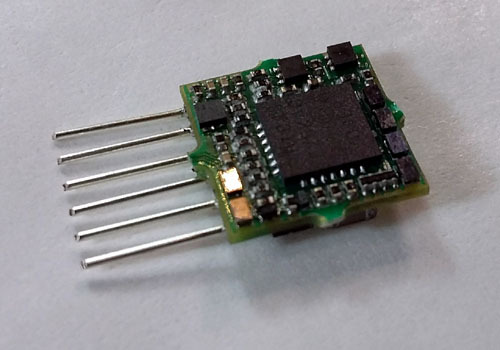 Added new entry level 21pin decoder, Zimo MX638D to shop - MX634D (includes direct stay-alive connection) returns to normal price. 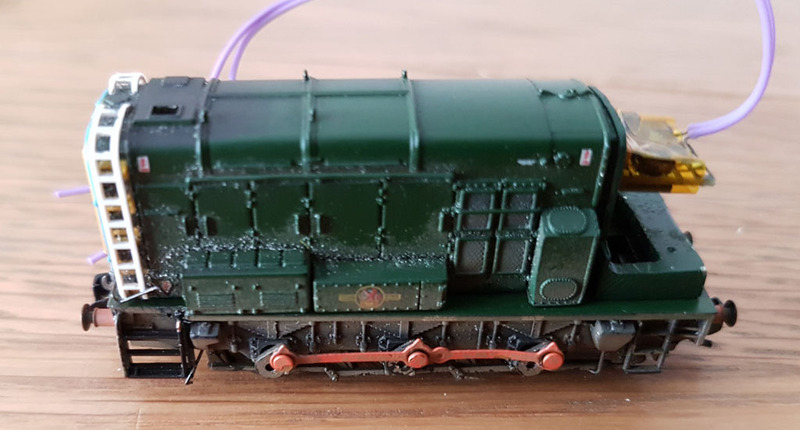 Added new install guide for Heljan O gauge Class 20 Diesel with Zimo sound. 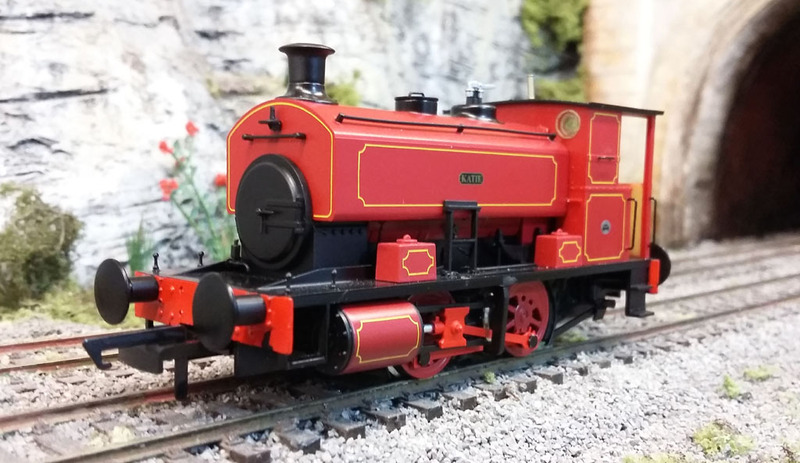 Added new install guide for Hattons OO Andrew Barclay 0-4-0 Saddle Tank with Zimo sound. 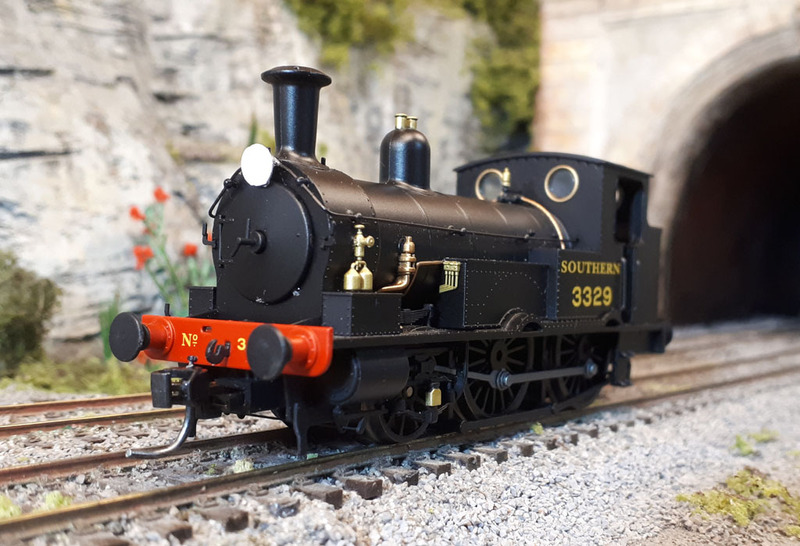 Added new example to the install guide for Bachmann/Model Rail Southern Region USA Tank with Zimo sound, firebox glow and stay-alive using the SACC16 kit. Added install guide for Hornby Battle of Britain (2018 model) with Zimo sound. 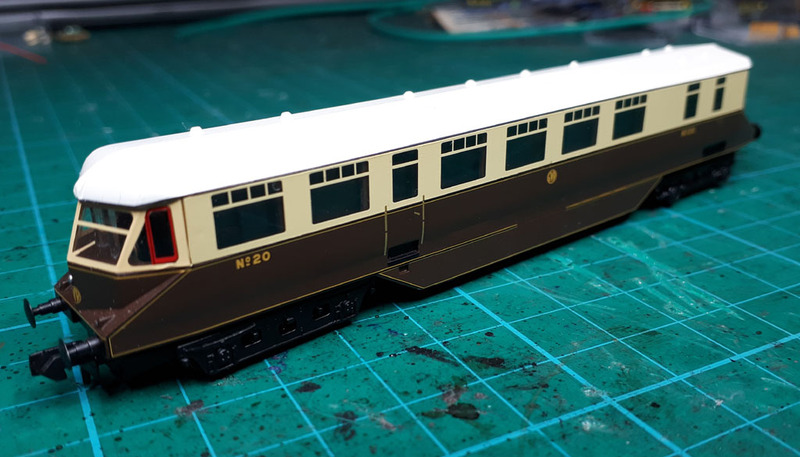 Added install guide for Hornby LNER B1 Thompson with Zimo sound. Added install guide for Hornby Standard 5MT with Zimo sound. 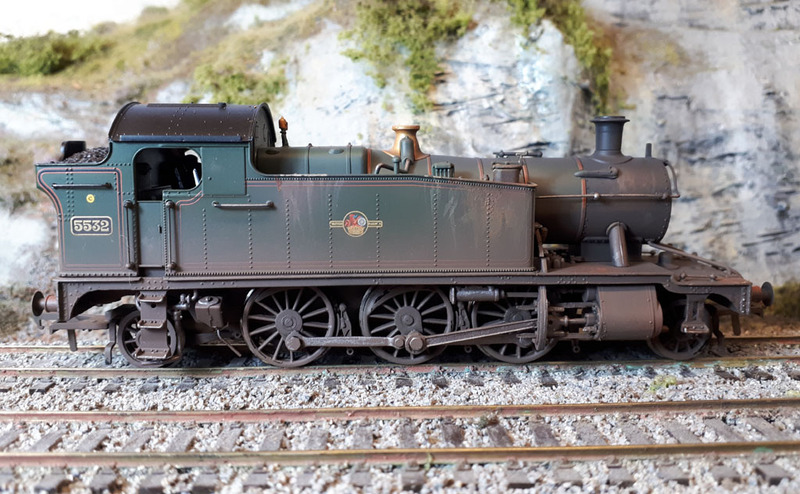 Added install guide for Bachmann SECR Wainwright 'C' with Zimo sound. Added install guide for Bachmann Class 205 DMU 'Thumper' with Zimo sound. Added new Zimo SACC16 stay-alive kit to shop - tiny pre-assembled replacement for the SPEIKOMP kit - great design! 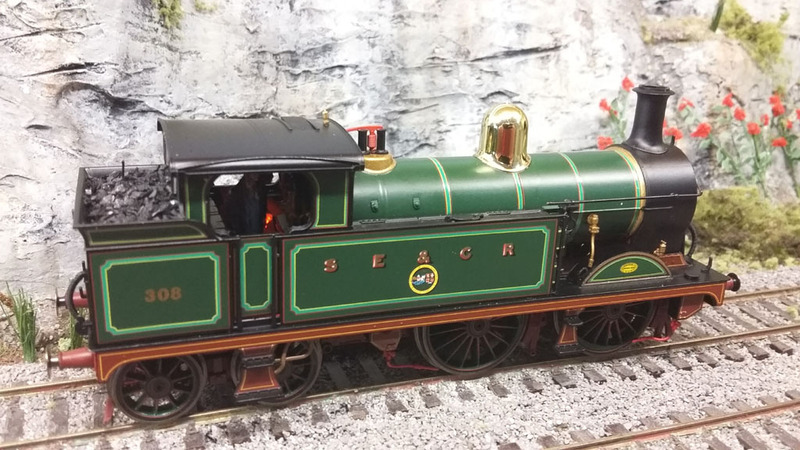 Added install guide for Hattons OO SECR P Class with Zimo sound. 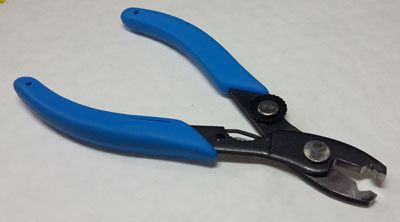 Added Xuron flush-cutter micro-shears tool to shop. 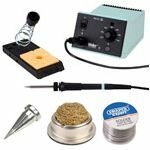 Added various tools including Xuron wire strippers, solder tip cleaner refill and Draper solder to shop. Added new Flat-Top and Lighthouse LEDs to shop. 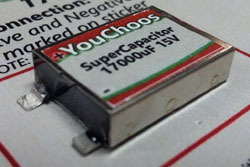 Added new YouChoos 17000uF SuperCap to shop. 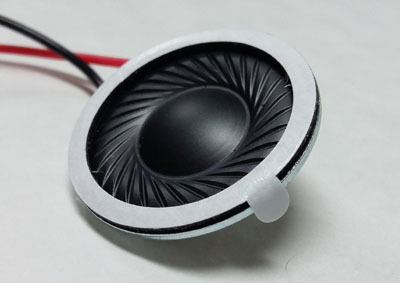 Added new YouChoos 23mm 1W speaker and 28mm 1.5W speaker to shop. Added new YouChoos individual Ready-To-Run model Hornby Class 08 'John' to shop. Added install guide for Heljan OO gauge Class 05 Diesel Shunter with Zimo sound. 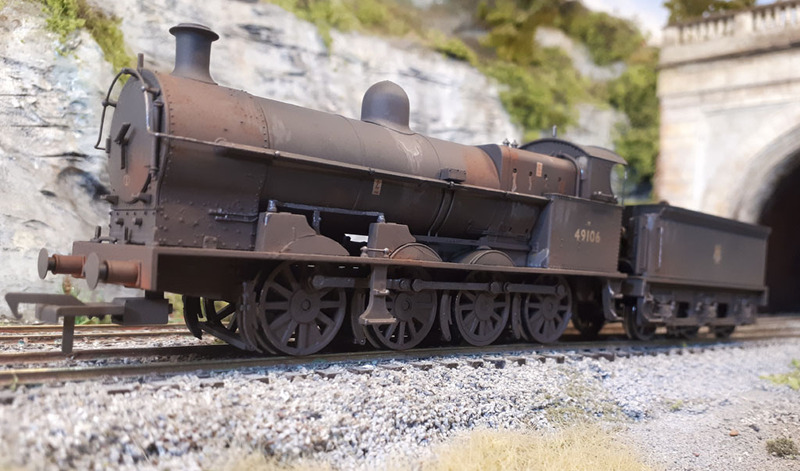 Added install guide for older style Farish N gauge Standard 5MT with Zimo sound. 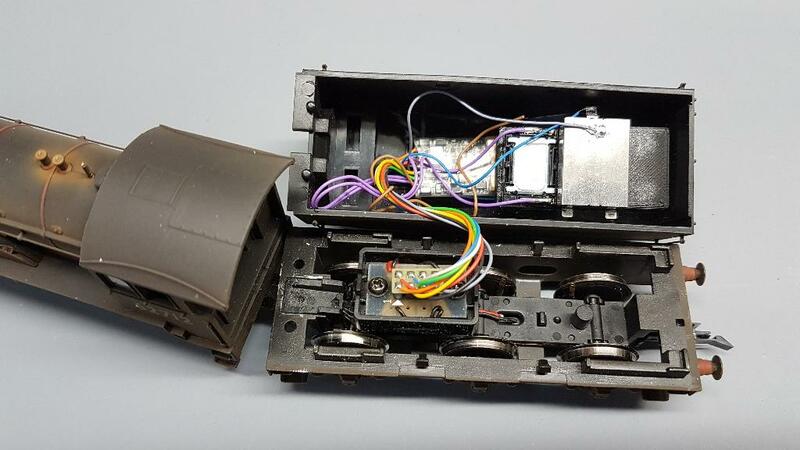 Added install guide for Bachmann OO gauge WD 2-8-0 with Zimo sound. 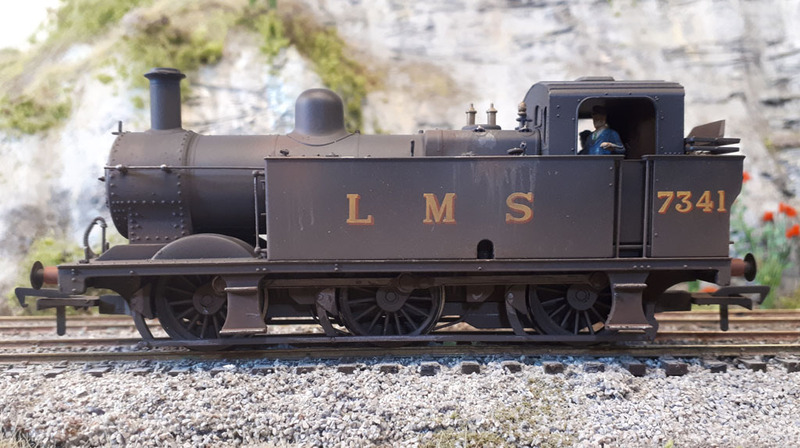 Added install guide for Bachmann OO gauge LNER A2 with Zimo sound. 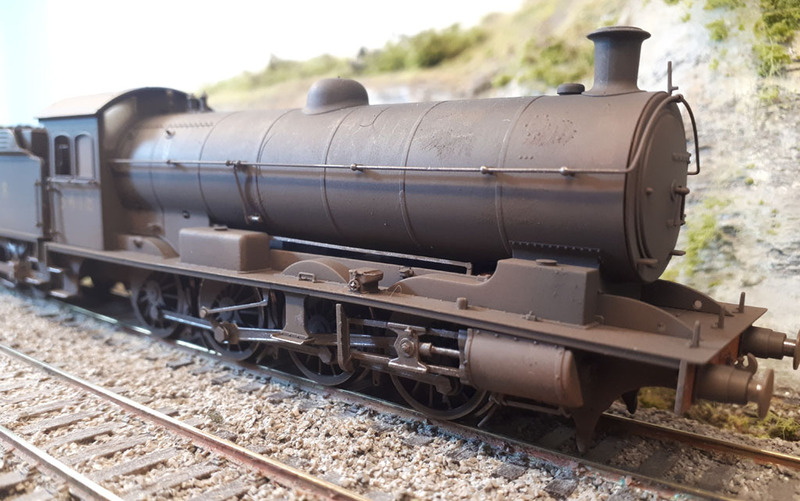 Updated Farish N gauge Fairburn Tank 2-6-4T with Zimo MX648 sound decoder. New Hornby J50 OO gauge LNER J50 0-6-0T DCC Sound install guide. New Graham Farish N gauge Class 20 diesel DCC Sound install guide. New Graham Farish N gauge GWR Castle Class DCC Sound install guide (Next18 DCC version). New Graham Farish N gauge Class 40 diesel DCC Sound install guide (Next18 DCC version). New Dapol N gauge Class 52 Western diesel DCC Sound install guide. New Dapol N gauge Class 68 diesel DCC Sound install guide. Updated and added latest new YouChoos individual Ready-To-Run models to shop - various gauges. Added various standard Zimo Decoders (MX630, MX632, MX633, MX696) to shop. Added MX688 Next18 interface Zimo Function Decoder to shop. 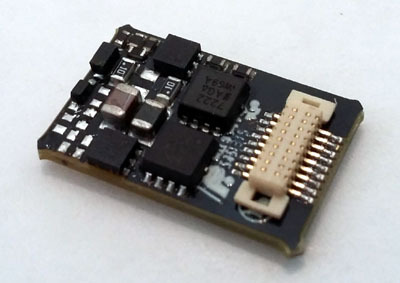 Added MX820 and MX821 ranges of Zimo Accessory Decoders to shop. Added certified fitter, Robert Train as service partner. 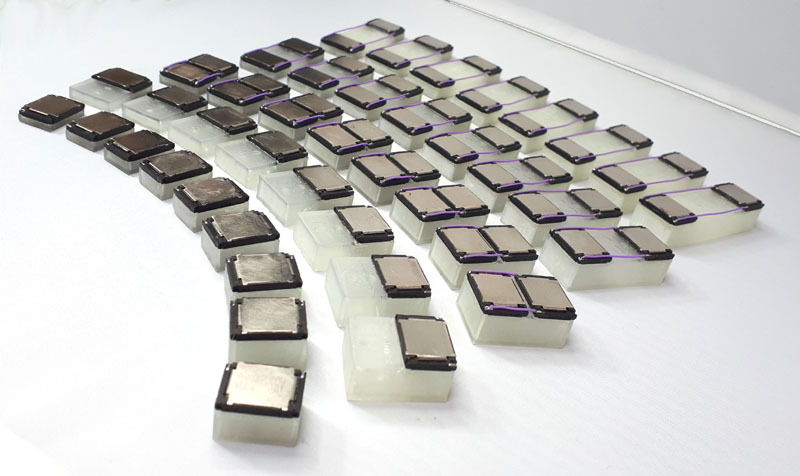 General price list changes for Zimo products including simplification of decoder wiring type prices, and introduction of MX634D as low-cost 21pin MTC option which joins MX600R (8pin) and MX622N (6pin direct) in this price band. New sound project for SECR Wainwright P Class 0-6-0T on Zimo - sample audio track available to listen to. New sound project for Metro-Vickers Diesel Class 28 on Zimo - based on a gear-less version of the Class 04. New sound project for Bulleid Diesel D16/2 1Co-Co1 on Zimo - mix of Class 40 engine and SR EMU horns/whistles. 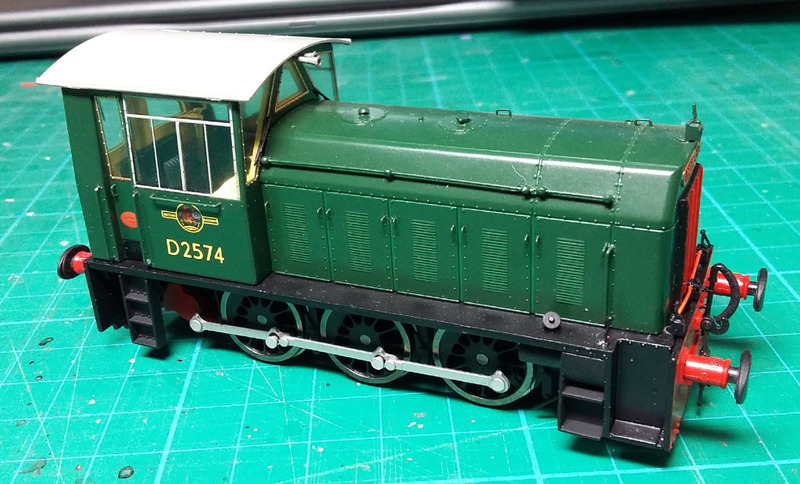 Added Hornby OO gauge SECR Wainwright 'H' in lined green to shop as exclusive Ready-To-Run model. 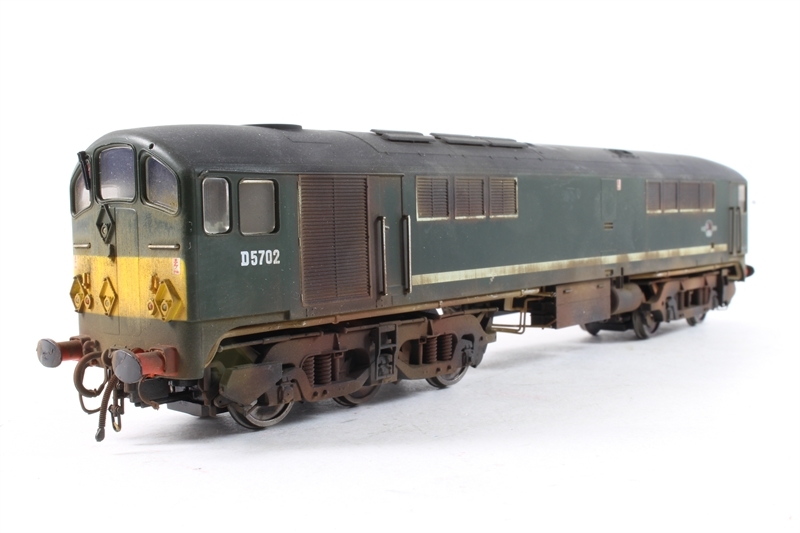 Added Dapol OO gauge GWR Diesel Railcar No'11 to shop as exclusive Ready-To-Run model. 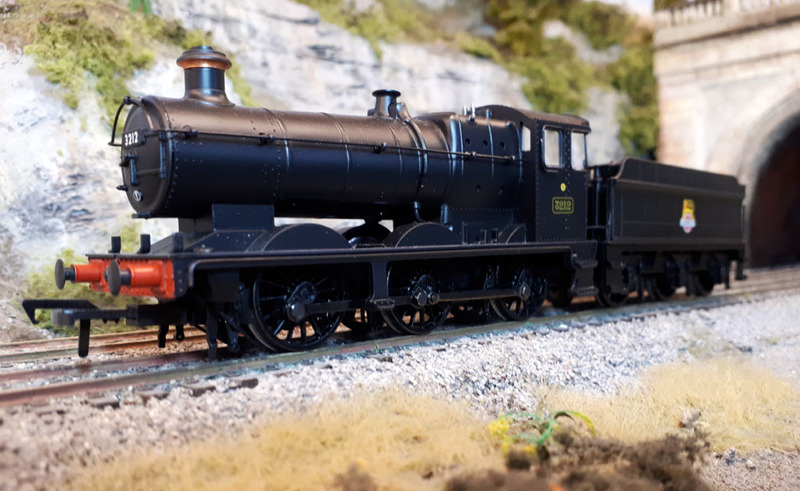 Updated Hornby OO gauge SECR Wainwright 'H' 0-4-4T install guide with stay-alive, firebox glow, crew and coal. 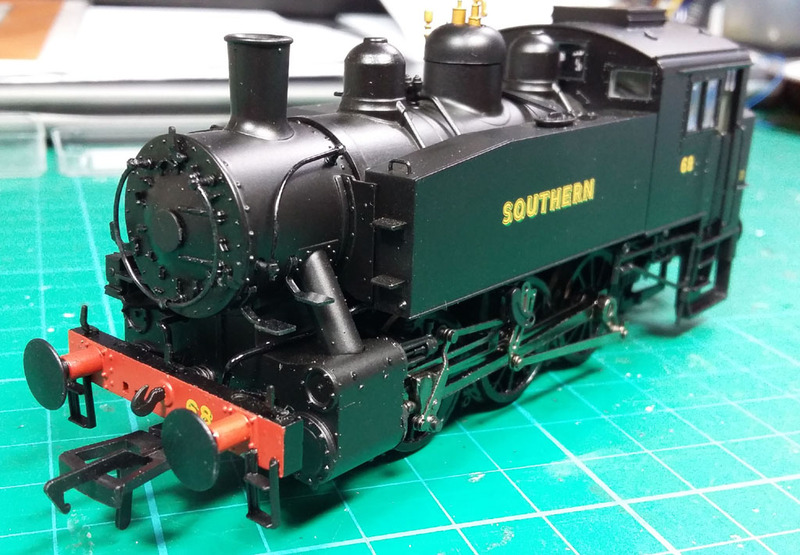 Added Hornby OO gauge SECR Wainwright 'H' 0-4-4T install guide for Zimo sound. 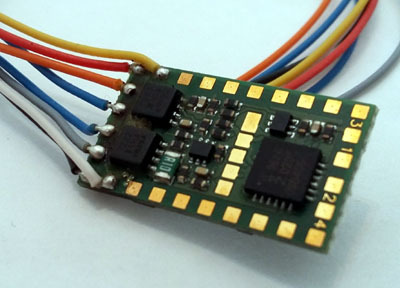 Added new MX616N 6pin direct, and MX616 wires-only standard micro decoders to shop - Zimo's smallest ever motor decoders! Added Dapol OO gauge GWR Diesel Railcar install guide for Zimo sound and stay-alive. 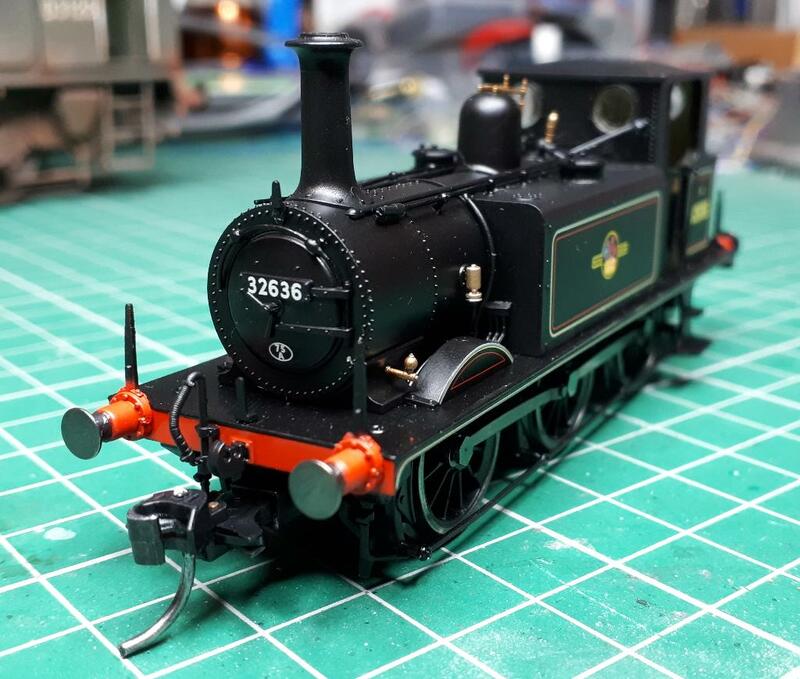 Updated Dapol O gauge LMS 3F Jinty install guide with lamps, crew and coal. Totally rewritten sound project for Class 40 Diesel on Zimo - sample audio track available to listen to. 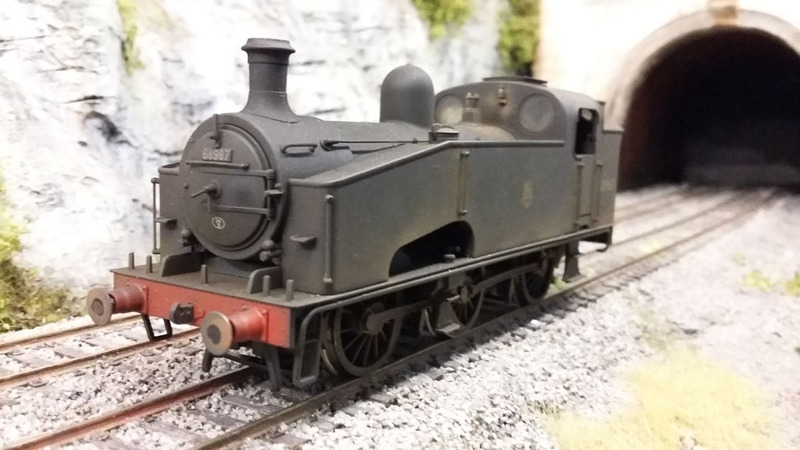 Added install guide for Dapol O gauge LMS 3F Jinty with Zimo sound and stay-alive. 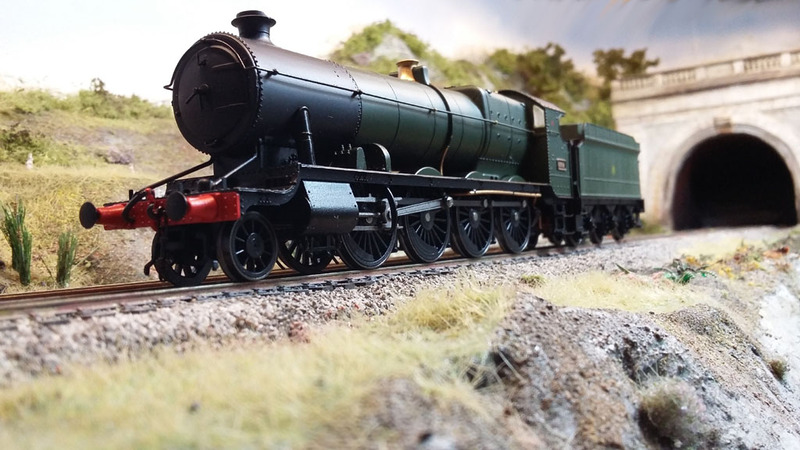 Added install guide for Hornby OO Merchant Navy (2017 model) with Zimo sound and lights. 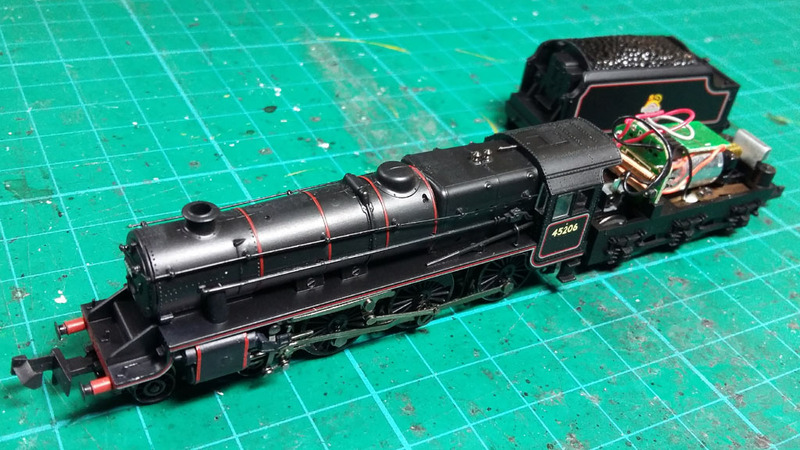 Added install guide for Bachmann OO Fowler 4F with Zimo sound. 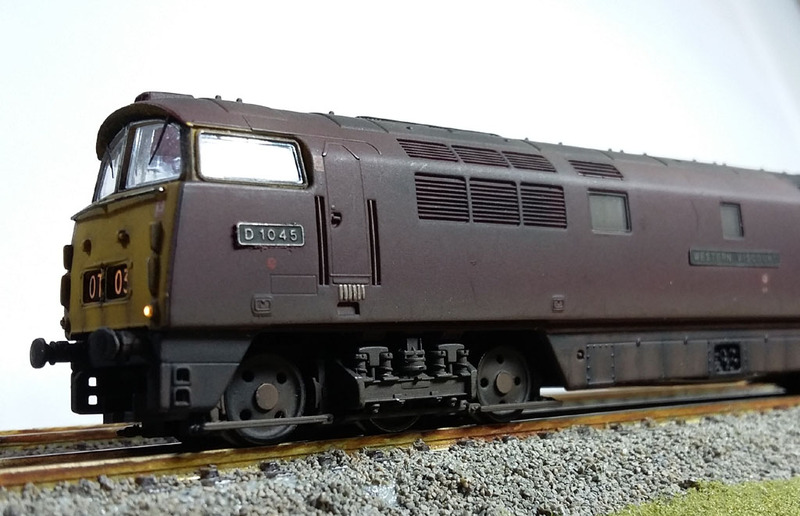 Added install guide for Graham Farish Class 108 DMU with Zimo sound. 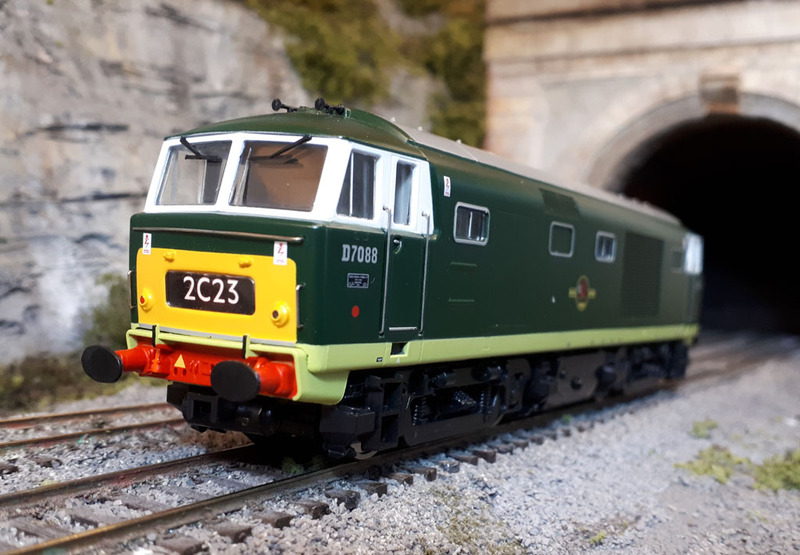 Added install guide for Graham Farish Class 24 with Zimo sound. 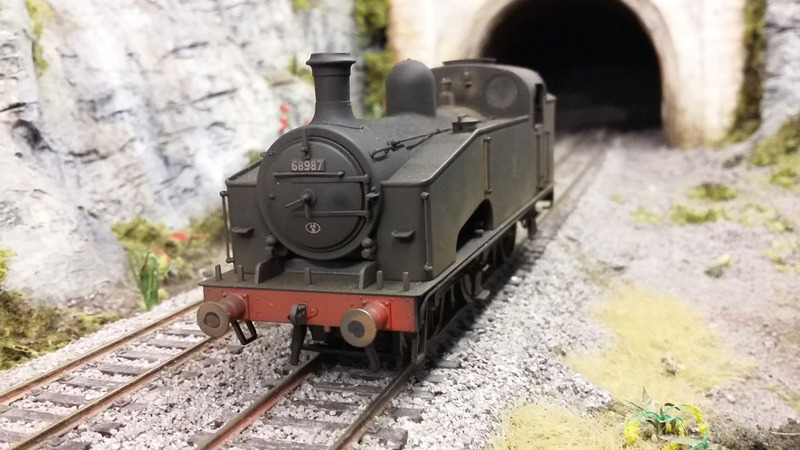 Added install guide for Hornby Class 08 with Zimo sound and stay-alive. 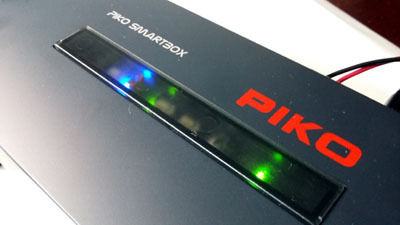 2017-09-30 Added PIKO SmartControl digital system to shop. Totally rewritten sound project for GWR Diesel Railcar on Zimo with prototypical gear changes - sample audio track available to listen to. 2017-09-05 YouChoos is now a dealer of SPROG products. 2017-08-20 Published immersiveDrive versions of all diesel and electric projects. 2017-08-09 Added new MX617N and MX617 wires-only standard micro decoders to shop. 2017-08-04 Reworked all improvements to steam sound projects from immersiveDrive back into Traditional-style versions. The only real differences between immersiveDrive and Traditional are now Function Key assignment, and Active Braking. 2017-07-28 New install guide added for Hornby OO Pendolino with Zimo sounds and lighting. 2017-07-28 New install guide added for Hornby OO LNER K1 with Zimo sounds and lighting. 2017-07-28 New install guide added for Hornby OO HST with Zimo sound. 2017-07-28 New install guide example added to Hornby OO Class 66 with Zimo sound. 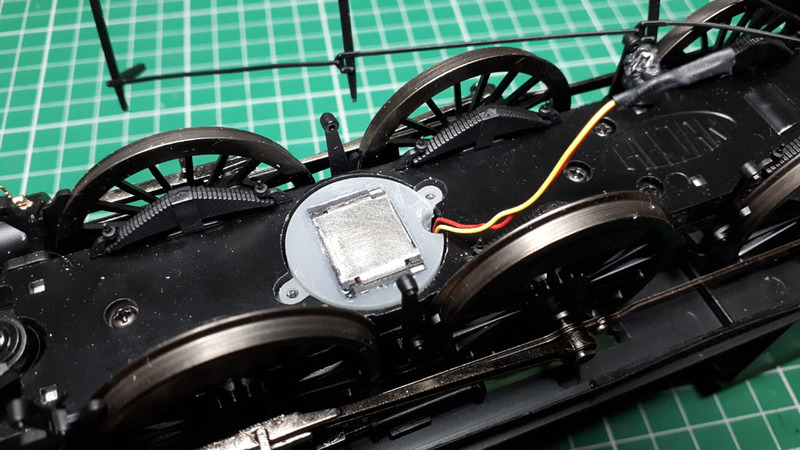 2017-07-28 New install guide example added to Heljan OO gauge GWR 1364 Tank with Zimo sound. 2017-07-28 Added new install guide for Bachmann OO Deltic DP1 with Zimo sound. 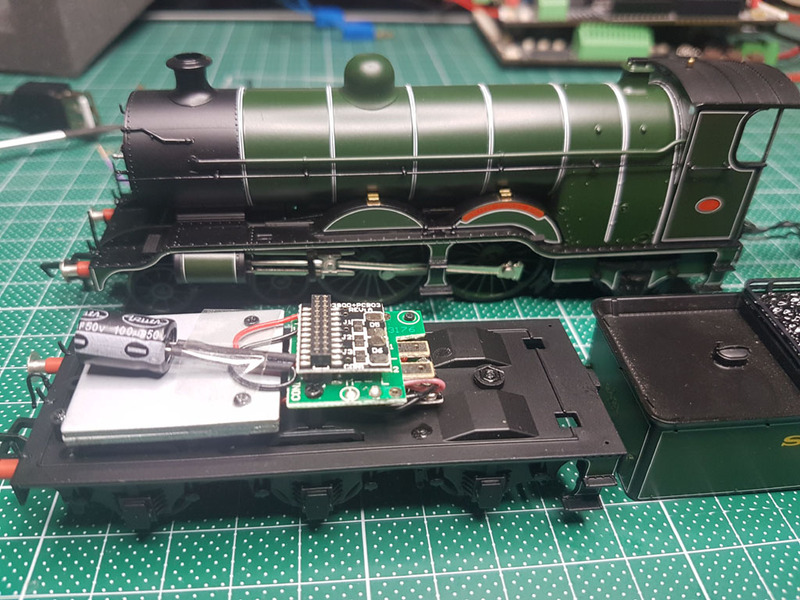 2017-07-28 Added new install guide for Bachmann OO LMS Jubilee with Zimo sound. 2017-07-28 Added new install guide for Tomix N gauge Henry (from Thomas The Tank Engine) - DCC conversion. 2017-07-28 Added new mini-install guide for Dapol N gauge Class 67 diesel with Zimo sound. 2017-07-28 Added new install guide for Dapol N gauge Class 33 diesel with Zimo sound. 2017-07-26 Added new install guide for Graham Farish N gauge LNER B1 with Zimo sound. 2017-07-25 Published immersiveDrive sounds for LNER A3 Gresley e.g. Flying Scotsman. 2017-07-24 Published immersiveDrive sounds for LNER A2 Peppercorn. 2017-07-22 Added new install guide for Dapol OO Class 122 Bubble Car with MX644D Zimo sound. 2017-07-22 Added another install guide example for the Oxford Rail OO GWR Dean Goods Class 2301 with more adventurous kit than yesterday's. 2017-07-21 Added new install guide for Oxford Rail OO GWR Dean Goods Class 2301 with Zimo sound. 2017-07-18 Published immersiveDrive sounds for SECR Wainwright 'H' 0-4-4T and LSWR T9 Greyhound 4-4-0. 2017-07-17 Published immersiveDrive sounds for LNER A1 Peppercorn (e.g. Tornado). 2017-07-13 Published immersiveDrive sounds for LNER J50 Tank , LNER D49 4-4-0 and LNER J52 Saddle Tank. 2017-07-12 Published immersiveDrive sounds for LNER Thompson B1 and LNER K1. 2017-07-09 Published immersiveDrive sounds for LNER O2 Tango 2-8-0 , LNER O1 Thompson 2-8-0 , LNER J15 0-6-0 and LNER Q6 Raven. 2017-07-08 Published immersiveDrive sounds for LNER Robinson O4. 2017-07-03 Published immersiveDrive sounds for LNER K4 , GWR 43XX/94XX 2-6-0 Mogul and LNER V2. 2017-07-02 Published immersiveDrive sounds for GWR Earl Class 3200 'Duke Dog' , GWR 56XX 'Taffy Tank' 0-6-2T , GWR 2251 Collett Goods 0-6-0 and GWR Steam Railmotor. 2017-06-29 Published immersiveDrive sounds for GWR Manor Class 7800. 2017-06-27 Published immersiveDrive sounds for GWR 28XX 2-8-0 , GWR 3700 City Class 4-4-0 and SECR N Class 2-6-0. 2017-06-25 Published immersiveDrive sounds for SR Q1 Charlie and S&D 7F. 2017-06-24 Published immersiveDrive sounds for Southern Railway USA Tank , SR Schools Class and SR Lord Nelson. 2017-06-22 Published immersiveDrive sounds for SECR Wainwright C.
2017-06-20 Published immersiveDrive sounds for LSWR M7 Tank and LSWR Beattie Well Tank. 2017-06-19 Published immersiveDrive sounds for L&Y Class 27 3F 0-6-0 , LB&SCR E4 , LB&SCR Terrier and LMS Stanier 8F. 2017-06-14 Published immersiveDrive sounds for LSWR S15 , GWR King Class 6000 , LNER B12 and LNER B17. 2017-06-11 Published immersiveDrive sounds for LMS Midland Compound , LMS 2-6-0 Hughes Crab and LSWR G2 Super-D.
2017-06-10 Published immersiveDrive sounds for LMS Ivatt 2MT and LMS Beyer Garratt. 2017-06-08 Published immersiveDrive sounds for LMS Royal Scot / Patriot and LMS Black 5. 2017-06-07 Published immersiveDrive sounds for GWR Castle 4073 Class , GWR 14XX 0-4-2T Tank , GWR 94XX Pannier Tank , GWR 42XX/52XX 2-8-0T Tank , LMS 3F Jinty Tank , LMS 4F 0-6-0 , LMS Jubilee Class , LNWR Webb Coal Tank and GWR Prairie Tank. 2017-06-06 Published immersiveDrive sounds for LMS Fairburn 2-6-4T Tank, LMS Duchess/Coronation 4-6-2 and LMS Princess 4-6-2. 2017-06-04 Published immersiveDrive sounds for GWR 4900 Hall Class and LMS Fowler 2-6-4T Tank. 2017-06-02 Add new immersiveDrive sounds for LNER W1 'Hush Hush' based on a modified A4 project. 2017-06-01 Published immersiveDrive sounds for Southern West Country / Battle of Britain Class and Merchant Navy and LNER A4. 2017-05-31 Published immersiveDrive sounds for GWR Pannier 57XX. Commence roll-out of YouChoos immersiveDrive sound projects - the next generation roll-up of advanced features for a more stimulating and realistic driving experience!. All BR Standard steam projects available in this launch, plus WD 2-8-0, LSWR N15 and LNER D11 - keep an eye out here for more over the summer! 2017-03-21 Added new install guide for Hornby OO Class 31 diesel with Zimo sound, including stay-alive. 2017-03-21 Added new example in install guide for Bachmann OO gauge Standard 4MT Tank with Zimo sound, including stay-alive. 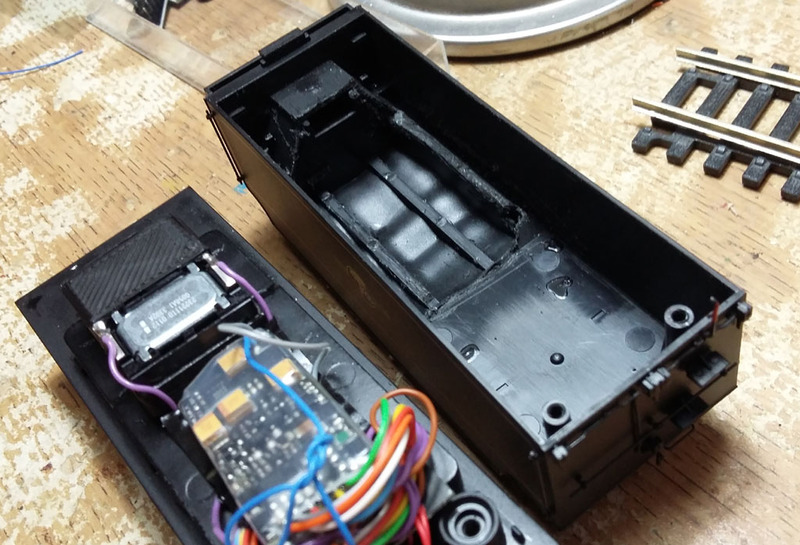 2017-03-21 Added new install guide for Bachmann OO gauge Webb Coal Tank (Next18) with Zimo sound. 2017-04-11 New Quick Helps for commonly asked questions. 2017-04-11 Restructued and added many new YouChoos individual Ready-To-Run models to shop - various gauges. 2017-03-21 Added new install guide for Dapol N gauge SR Schools Class with Zimo sound. 2017-03-18 Totally rewritten sound project for Class 55 Deltic diesel on Zimo, complete with sample audio track. 2017-03-16 Added new install guide for Farish N gauge Class 66 diesel with Zimo sound. 2017-03-16 Added new photo install guide for Heljan OO gauge Metropolitan Electric Bo-Bo with Zimo sound. 2017-03-16 Added new example install for Bachmann OO gauge Class 108 DMU with Zimo sound. 2017-03-16 Added new install guide for Bachmann OO gauge Class 20 diesel with Zimo sound. 2017-03-16 Added new example install for Bachmann OO gauge GWR Pannier Tank with Zimo sound. 2017-03-16 Added new install guide for Bachmann OO gauge Class 37 diesel with Zimo sound. 2017-03-16 Added new install guide for Dapol OO gauge LMS 10000 diesel with Zimo sound. 2017-03-16 Added new install guide for Bachmann OO gauge Class 47 diesel with Zimo sound. 2017-03-16 Added new example install for Bachmann OO gauge Class 25 diesel with Zimo sound. 2017-03-16 Added install guide for Bachmann OO gauge Ivatt 2MT Tank (Next18) with Zimo sound. 2017-03-08 Totally rewritten sound project for Class 42 Warship diesel on Zimo, complete with sample audio track. 2017-02-25 Added install guide for DJM/Hattons OO gauge Class 14XX with Zimo sound and crew. 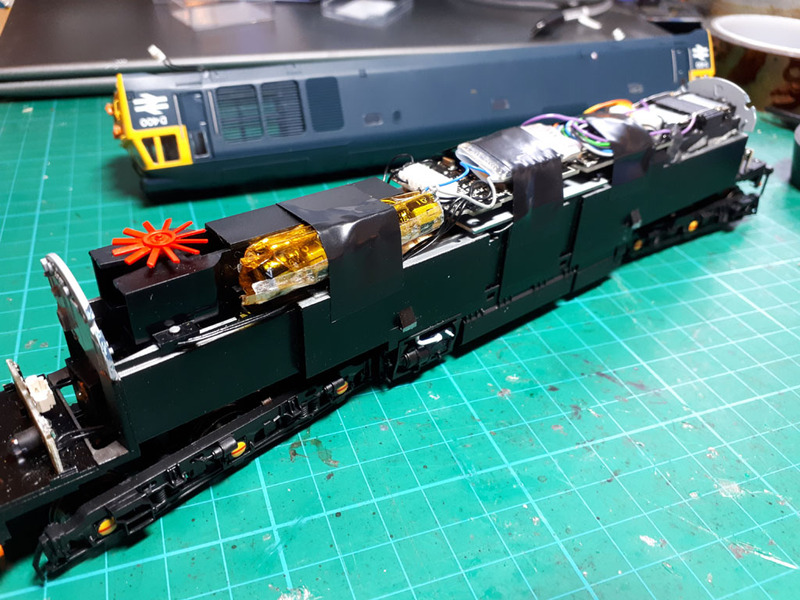 2017-02-25 Added install guide for Dapol OO gauge Class 68 diesel with Zimo sound and lighting (includes halo lighting control). 2017-02-25 Updated FKey mapping of Class 68 project to support Dapol OO lighting, including halo lights. 2017-02-21 Richard Spibey of Trident Trains, Crewe added as service partner for fitting of DCC Sound in OO. 2017-02-06 Added new photo install guide example for Dapol N gauge Class 56 diesel with Zimo sound and lighting. 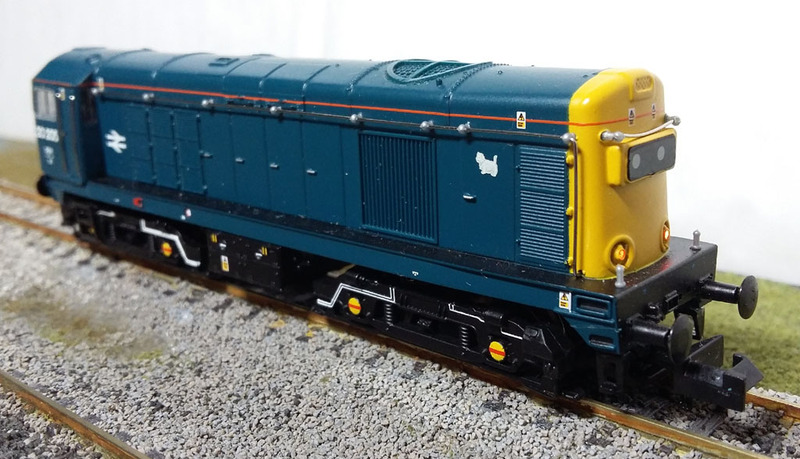 2017-02-06 Added new photo install guide example for Graham Farish N gauge Class 37 diesel with Zimo sound and lighting. 2017-02-06 Added new photo install guide example for Graham Farish N gauge Class 47 diesel with Zimo sound and lighting. 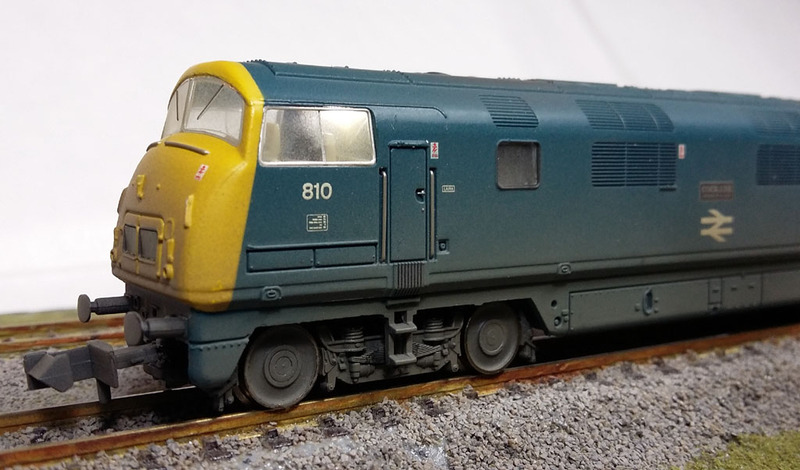 2017-02-06 Added new photo install guide example for Graham Farish N gauge Class 55 Deltic diesel with Zimo sound and lighting. 2017-02-06 New photo install guide of Bachmann OO gauge LNER A1 Peppercorn 4-6-2 with Zimo sound, SuperCap stay-alive, smoke and lighting. 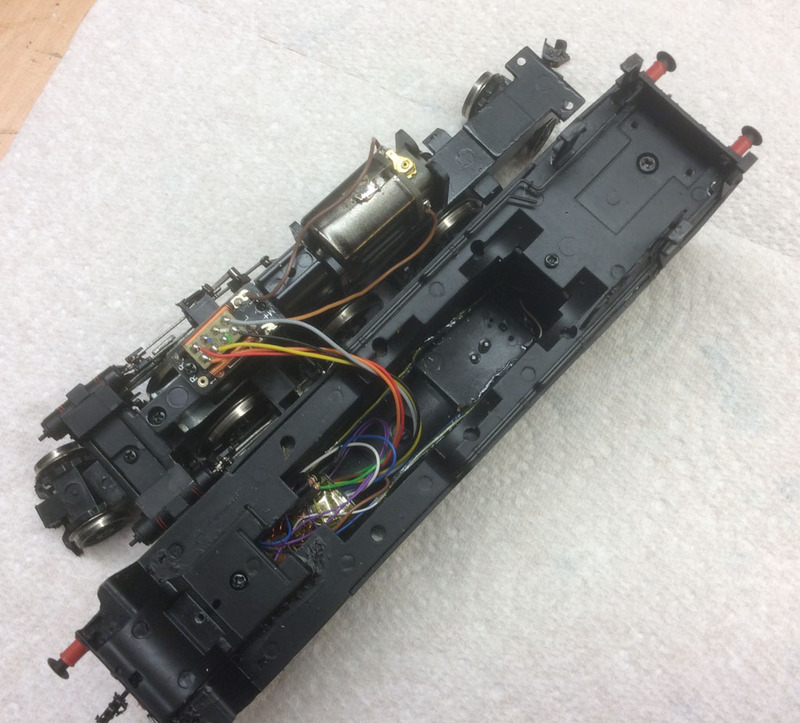 2017-02-06 New photo install guide of Bachmann OO gauge LNER V3 Tank with Zimo sound (MX658 Next18 decoder) and firebox glow. 2017-02-06 New photo install guide of Hornby OO gauge Stanier Tank with Zimo sound, stay-alive and lighting. 2017-02-06 New photo install guide of Heljan OO gauge GWR 1364 Tank with Zimo sound. 2017-02-06 New photo install guide of Hornby OO gauge GWR 52XX 2-8-0 with Zimo sound, SuperCap stay-alive and firebox glow. 2017-01-25 Added MX687W full 8-function decoder to shop. 2017-01-25 New photo install guide of Farish N gauge Merchant Navy Class with Zimo sound. 2017-01-25 New photo install guide of Hornby OO gauge GWR 42XX 2-8-0 with Zimo sound, SuperCap stay-alive and lighting. 2017-01-18 Totally rewritten sound project for Class 66 diesel on Zimo, complete with sample audio track. 2017-01-18 Added another example for installation in Dapol N gauge Britannia with Zimo MX648 sound decoder and YouChoos SugarCube9 speaker. 2017-01-18 New photo install guide of Bachmann OO gauge Class 70 diesel with Zimo MX644D sound decoder. 2017-01-18 New photo install guide of Hornby OO gauge LNER J15 with Zimo MX648 sound decoder. 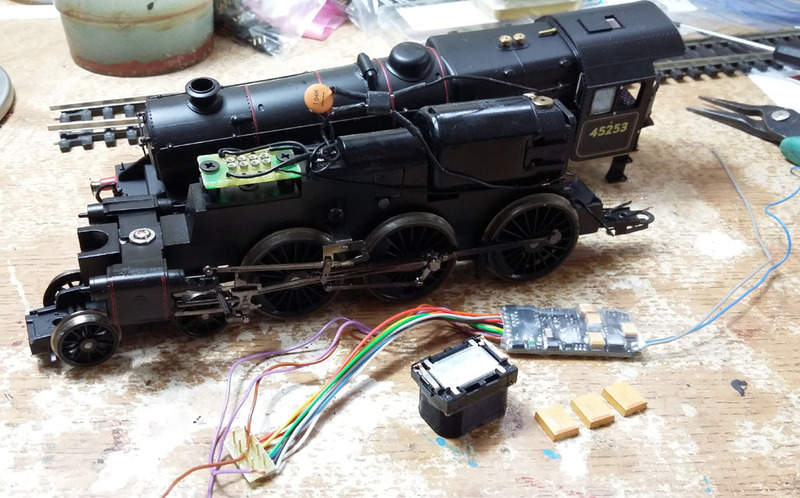 2017-01-18 Added another example for installation in Farish N gauge LMS Princess class with Zimo MX648 sound decoder and YouChoos SugarCube9 speaker. 2017-01-18 New photo install guide of Farish N gauge Standard 5MT with Zimo MX648 sound decoder and YouChoos SugarCube7 speaker. 2017-01-18 New photo install guide of Dapol N gauge LNER B17 with Zimo MX648 sound decoder and YouChoos SugarCube7 speaker. 2017-01-18 New photo install guide of Farish N gauge LMS Black 5 with Zimo MX648 sound decoder and YouChoos Limo6 speaker. 2017-01-18 New photo install guide of Farish N gauge LMS Fairburn Tank with Zimo MX648 sound decoder. 2017-01-18 New photo install guide of Dapol N gauge Class 26 diesel with Zimo MX648 sound decoder and YouChoos SugarCurve7 speaker. 2017-01-18 New photo install guide of Dapol N gauge Class 27 diesel with Zimo MX648 sound decoder and YouChoos SugarCurve7 speaker. 2017-01-18 New photo install guide of Dapol N gauge LNER A4 vallanced Mallard with Zimo MX648 sound decoder and YouChoos SugarCube9 speaker. 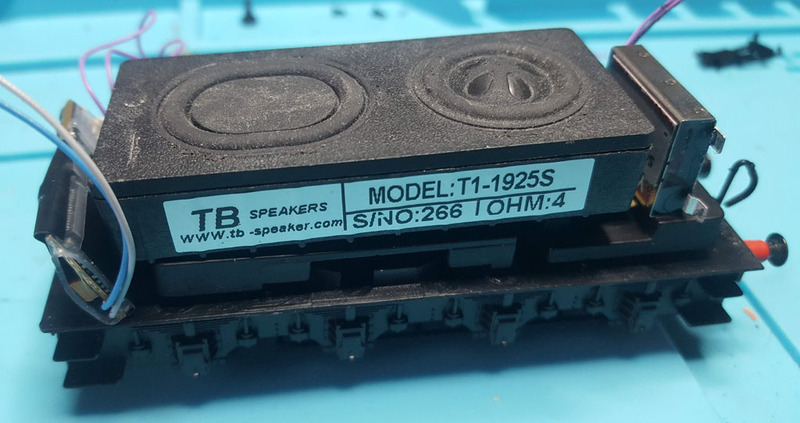 2017-01-07 YouChoos YLR-4020FLAT 8ohm/2W screw-in speaker added to speaker shop page - suitable for some Bachmann OO diesel models. 2017-01-08 New install guide for Model Rail exclusive, SR USA Tank 0-6-0 with Zimo sound. 2016-12-05 New install guides added for Dapol O gauge Class 08 diesel - Zimo sound and smoke and also Dapol O gauge Terrier. 2016-11-23 New sound project Class 390 Pendolino EMU on Zimo, with audio track. 2016-11-20 New sound project Class 68 Diesel on Zimo, with audio track. 2016-11-03 Wickness Models Black Tack now available here. 2016-11-02 New sound project LNER Gresley V2 2-6-2 on Zimo, with audio track. 2016-10-25 New sound project GWR 94XX Class 0-6-0 Pannier Tank on Zimo, with audio track. 2016-10-25 Added new YouChoos individual Ready-To-Run models to shop - various N gauge. 2016-10-22 New sound project LNWR Webb Coal Tank 0-6-2T on Zimo, with audio track. 2016-10-22 New sound project BR/WD Hunslet Austerity J94 0-6-0 Saddle Tank on Zimo, with audio track. 2016-10-16 New sound project GWR 14XX Class 0-4-2T Tank on Zimo, with audio track. 2016-10-14 Added new YouChoos individual Ready-To-Run models to shop - various OO, with videos. 2016-10-11 New sound project Southern Region USA 0-6-0 Tank Class S100 on Zimo, with audio track. 2016-09-17 New sound project Desiro EMU e.g. Class 350-450 on Zimo, with audio sample track. 2016-09-15 Audio example available so you can listen to the updated Class 47 diesel Zimo sounds. 2016-08-28 Major update for Class 47 diesel Zimo sounds. 2016-07-05 Added Zimo MX658N18 Next18 sound decoder and Zimo MX618N18 Next18 standard decoder to shop. 2016-06-17 New sound project for London Underground Tube on Zimo decoders. 2016-06-14 Added new YouChoos 'Flame' range of 3D-printed cube speakers to shop. 2016-06-08 Added Zimo MX645P22 NEM658 PluX22 sound decoder variant to shop. 2016-06-07 Added new YouChoos individual Ready-To-Run models to shop - OO Hornby Royal Scot and OO Hornby Thompson L1 Tank. 2016-06-07 Added new Zimo 3D-printed 'Dumbo' cube speakers to shop. 2016-05-12 Website hosting moved including technology change - please report any issues (broken links, missing pictures etc.) to us! 2016-05-12 Can now add YouChoos individual Ready-To-Run models direct to shopping basket. 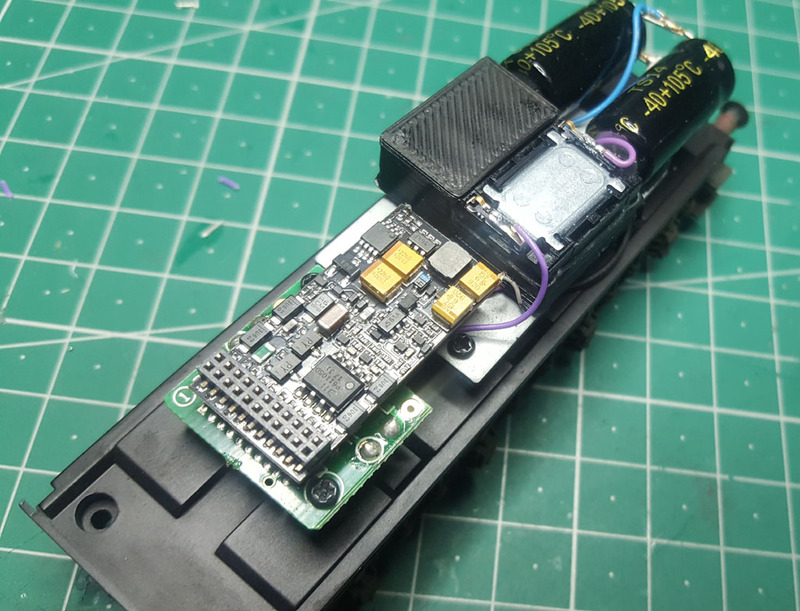 2016-05-02 New sound project for Class 150 DMU on Zimo decoders. 2016-04-27 Added YouChoos individual Ready-To-Run DCC Sound N gauge models - Farish Warship Class 42 'Cockade' (BR Blue), Farish LMS Princess (BR Blue 'Duchess of Norfolk') and Dapol HST Western Region book set to shop. 2016-03-15 Added new YouChoos speakers YLR-302815 and YLR-453520 to shop. 2016-02-20 New sound project for Class 73 electro-diesel on Zimo decoders. 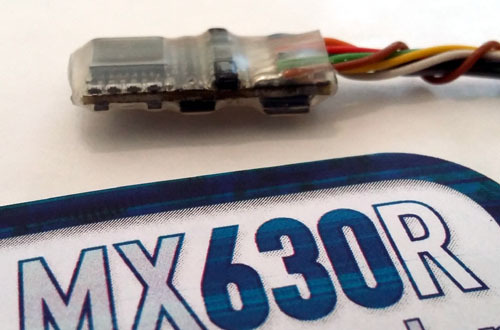 2016-02-20 Added Zimo MX600 decoder - now available in small quantities. 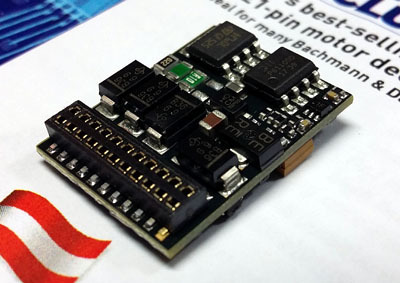 Zimo's new 'entry-level' decoder - fully featured standard decoder at low cost! 2016-01-15 New steam sound project for Gresley O2 2-8-0 on Zimo. 2016-01-10 New install guide added for Hornby Class 700 Drummond - Zimo sound, lights and smoke. 2016-01-10 Added new gallery page for Hornby OO Southern Class 700 Drummond with Zimo sounds, lights and smoke. 2016-01-05 Added new gallery page including video and photos for Hornby OO S15 with Zimo sounds, lights and smoke. 2015-12-27 Assembly photographs for SPEIKOMP stay-alive kit. 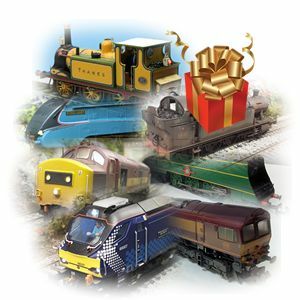 2015-12-27 New or more detailed install guides for Bachmann E4, Bachmann Pannier (2015 model), Kernow/DJH O2, Bachmann OO Class 55 Deltic, Heljan OO Class 128 DPU Parcels, Dapol Class 52 Western (OO) and Dapol N Gauge HST. 2015-12-27 Added new gallery pages or new photos for Hornby Duke Class 8, Hornby GWR 52XX, Hornby Royal Scot, Dapol OO Class 52 Western, Hornby OO Thompson L1, Bachmann Standard 3MT Tank, Bachmann Deltic Class 55, Bachmann Pannier Tank, Hornby LMS Duchess, Hornby A4, and Bachmann LBSCR E4. 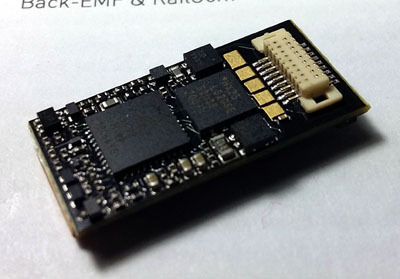 2015-10-30 Zimo MX649 sound decoder now available! 2015-10-13 Added Zimo decoder testers MXTAPS and MXTAPV to shop - availability very soon! 2015-10-13 Zimo MX649 sound decoder launched - availability very soon! 2015-09-19 New steam sound project for LSWR S15 Urie/Maunsell on Zimo decoders, with audio recording. 2015-09-19 New diesel sound project for Class 14 'Teddy Bear' on Zimo decoders, with audio recording. 2015-08-16 Added new YouChoos speakers YLR-302506, YLR-603010 and YLR-704025 to shop. 2015-08-30 New steam sound variant for 9F Crosti available on Zimo decoders. 2015-08-21 Added new YouChoos speakers Limo7, Limo6 and curved-top versions of all Limos to shop. 2015-08-13 Added YouChoos individual Ready-To-Run DCC Sound model - N Gauge Farish Deltic Class 55 (BR Blue) and N Gauge Farish Class 37 (Railfreight) to shop. 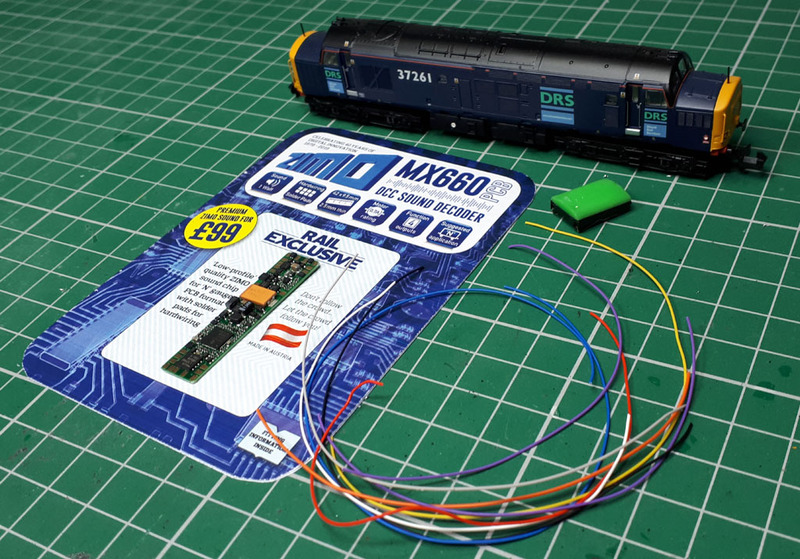 2015-08-07 New Zimo DCC Sound install guide for Dapol N Gauge Britannia with Zimo MX648. 2015-08-07 Added YouChoos individual Ready-To-Run DCC Sound model - N Gauge Dapol Britannia 'Morning Star' to shop. 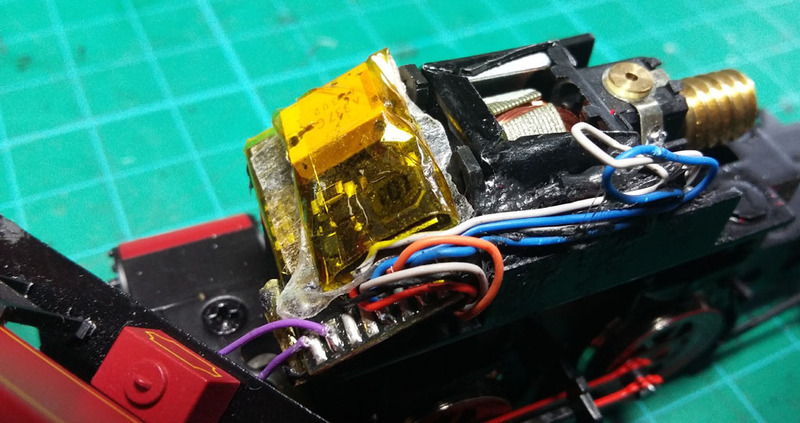 2015-08-04 New Zimo DCC Sound install guide for Dapol N Gauge 9F. 2015-08-06 Added YouChoos individual Ready-To-Run DCC Sound model - N Gauge Dapol 9F to shop. 2015-08-05 Added YouChoos individual Ready-To-Run DCC Sound models - N Gauge Dapol GWR Hall 'Priory Hall', and N Gauge Graham Farish WD Austerity 2-8-0 to shop. 2015-08-04 New Zimo DCC Sound install guide for Graham Farish N Gauge WD 2-8-0 Austerity. 2015-08-03 New Zimo DCC Sound install guide for Graham Farish N Gauge Princess/Duchess. 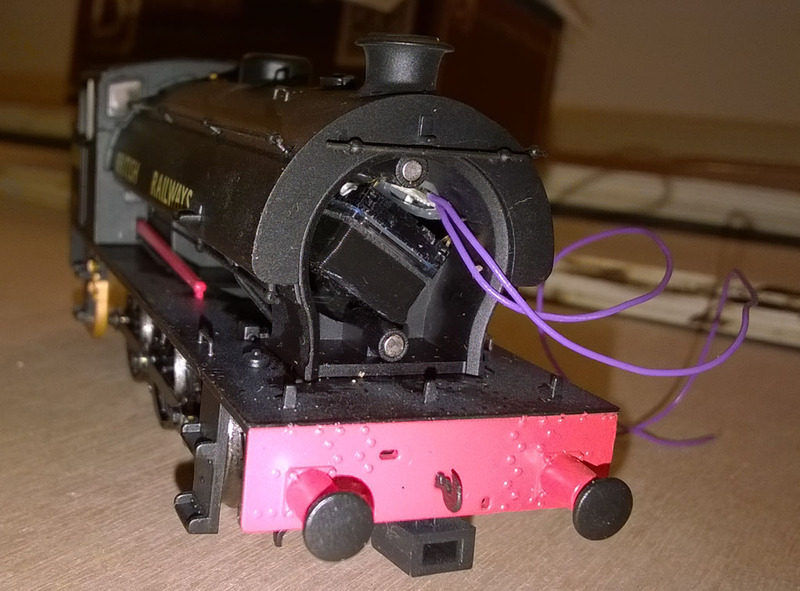 2015-08-03 New Zimo DCC Sound install guide for Graham Farish N Gauge Ivatt 2MT. 2015-08-03 New mini install guide for Bachmann OO NRM C1 Atlantic. 2015-08-03 New Zimo DCC Sound install guide for Hornby OO Railroad 9F 'Evening Star'. 2015-08-02 Listed newly certified fitter, John Gay. 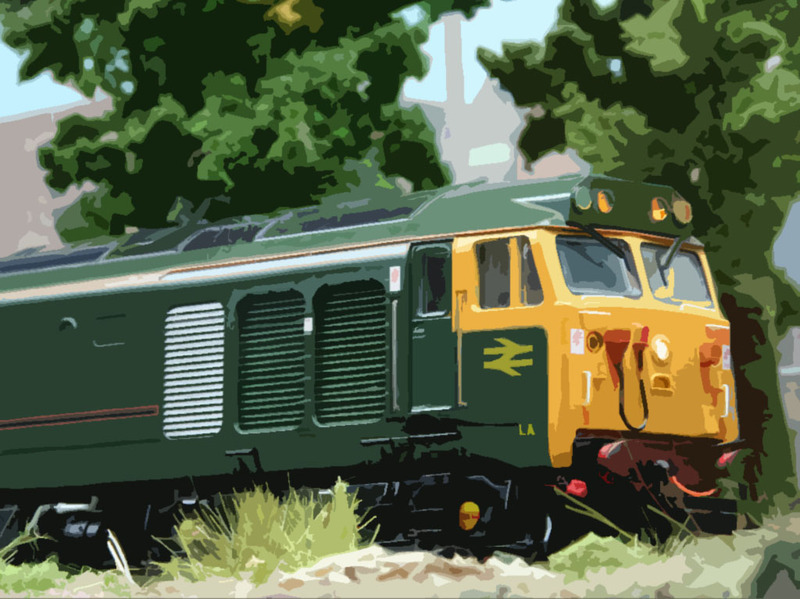 2015-08-01 Major update of sounds for Class 37 Diesel project including sample audio track. 2015-07-30 Major update of sounds for Class 43 HST Diesel project including sample audio track - twin project also available. 2015-07-21 New steam sound LNER Q6 0-8-0 available on Zimo decoders. 2015-07-16 Added new YouChoos speakers SugarCurve8 and Limo9 to shop. 2015-07-09 Major update of sounds for Class 20 Diesel project including sample audio track. 2015-07-07 Major update of sounds for LMS Fairburn Tank 2-6-4T project including sample audio track. 2015-06-29 Totally updated sounds for LMS Jubilee Class including sample audio track. 2015-06-28 Totally updated sounds for LMS Patriot / Royal Scot Class including sample audio track. 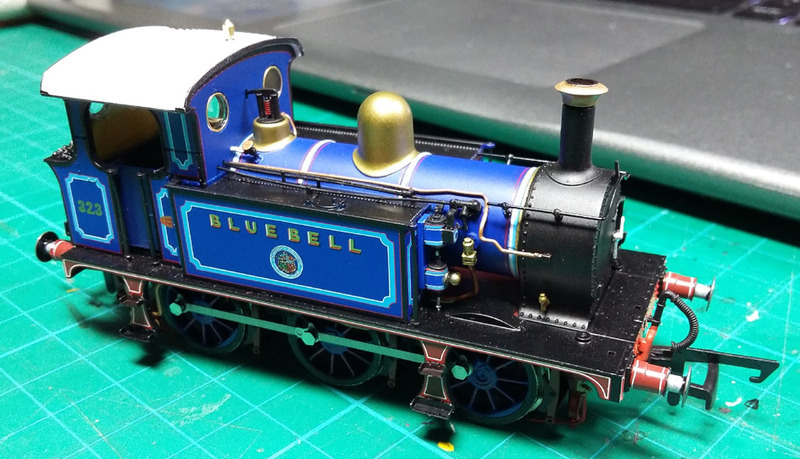 2015-05-14 New Zimo DCC Sound install example of Bachmann OO 3F 0-6-0 tender engine. 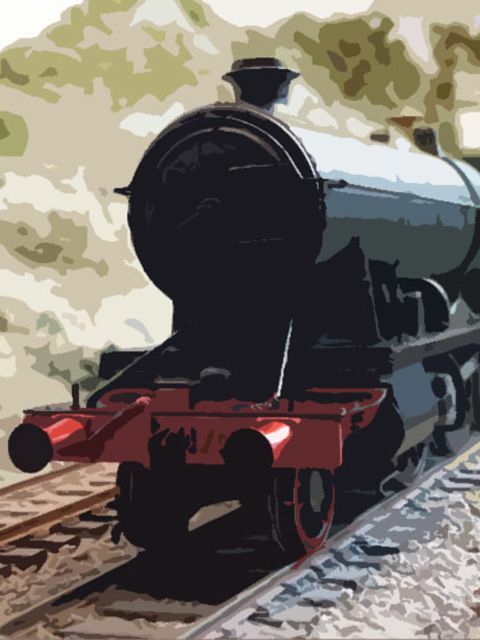 2015-05-12 Updated sounds for GWR Castle Class including sample audio track. 2015-05-12 Totally updated sounds for LMS Duchess/Coronation Class and Princess Class including sample audio track. 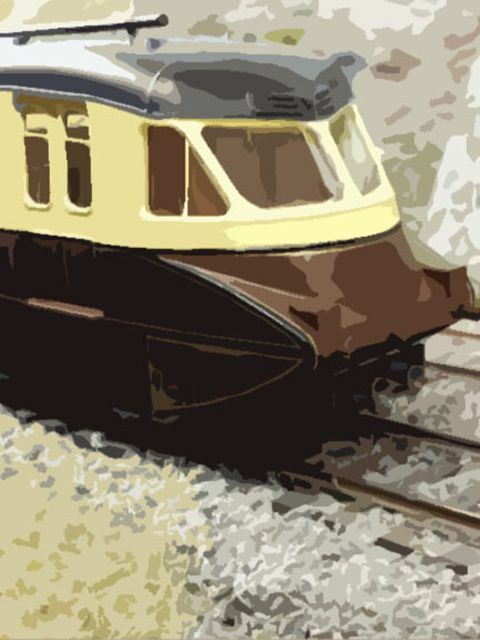 2015-05-12 Totally updated sounds for GWR Hall Class including sample audio track. 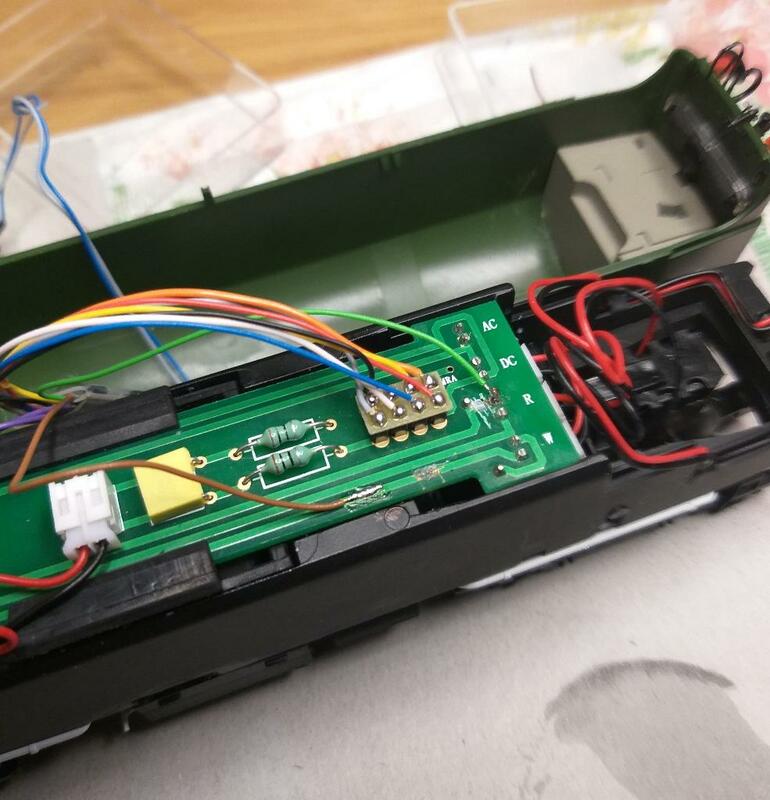 2015-04-25 Added new install guide for installing Zimo DCC sound into Bachmann OO LMS Midland Compound. 2015-04-25 Added new install guide for installing Zimo DCC sound into Hornby OO GWR King Class. 2015-04-25 Added new install guide for installing Zimo DCC sound and SuperCap into Bachmann OO GWR Pannier Tank. 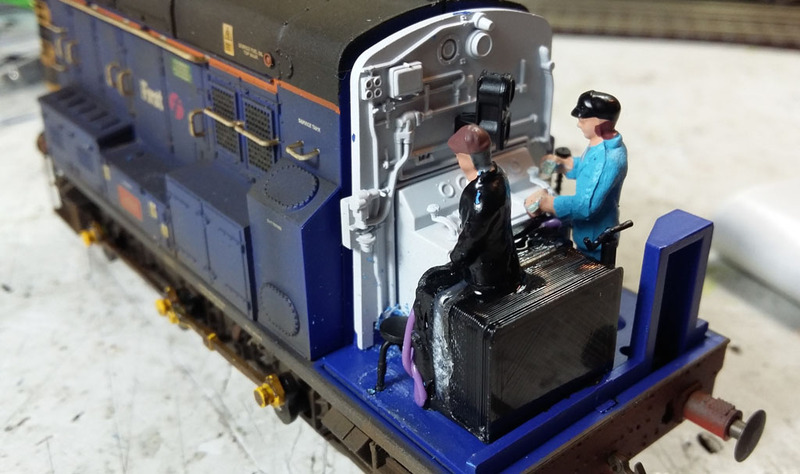 2015-04-25 Added new install guide for installing Zimo DCC sound into Graham Farish N gauge Class 25 diesel. 2015-04-25 Added new install guide for installing Zimo DCC sound into Bachmann N gauge GWR Hall Class. 2015-04-25 Added new install guide for installing Zimo DCC sound into Bachmann OO LMS 1F Tank. 2015-04-25 Added new install guide for installing Zimo DCC sound into Bachmann OO LB&SCR E4 Tank. 2015-04-14 Added YouChoos individual Ready-To-Run models - N Gauge LNER A4, N Gauge Dapol GWR Hall, N Gauge Dapol Class 56 to shop. 2015-03-31 Updated version (1.7) of YouChoos CT SoundProg software launched, updated suggested firmware to v130 and v131 for SL75, SL51-4 and SL76. Also fixed minor bugs on import facility and reload of project image. 2015-03-22 Totally updated sounds for S&DJR 7F 2-8-0. 2015-03-22 Totally updated sounds for SE&CR Wainwright C steam 0-6-0. 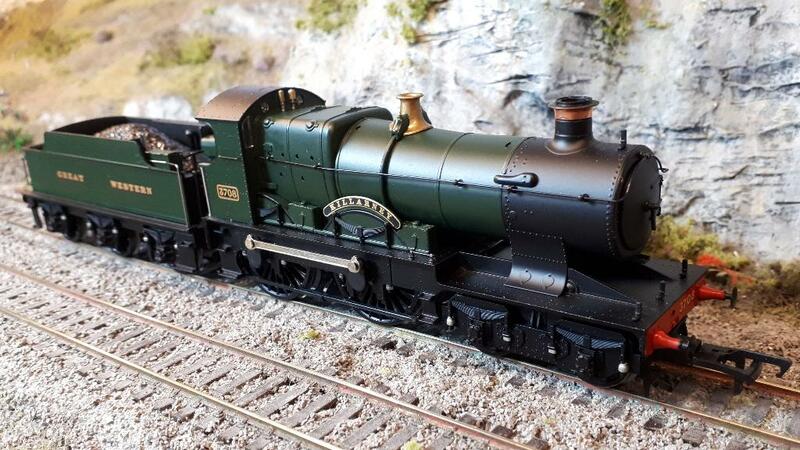 2015-03-21 New steam sound GWR City Class 4-4-0 available on Zimo decoders. 2015-03-21 New steam sound LB&SCR E4 0-6-2T available on Zimo decoders. 2015-03-21 New steam sound GWR 4200 2-8-0T available on Zimo decoders. 2015-02-22 Added new YouChoos speakers - SugarCurve7, SugarCube7 and SugarCube9 to shop. 2015-02-04 Added YouChoos OO lit buffer stops to shop. 2015-02-04 Added new guide for installing Zimo DCC sound into Bachmann OO gauge BR Standard 9F. 2015-01-31 Added DCC Systems, Controllers and Programmers to shop. 2015-01-28 Added new range of YouChoos Cube speakers - SugarCurve and The Brick to shop. 2015-01-27 Added new sound project for Class 105 Cravens DMU on Zimo to British Sounds library. 2015-01-25 Added new sound project for LMS Hughes 'Crab' 2-6-0 on Zimo to British Sounds library. 2015-01-23 Added YouChoos Super Capacitors 6800uF and 120mF to shop. 2015-01-11 Added new sound project for Southern Region DC EMU, such as Brighton Belle, on Zimo to British Sounds library. 2015-01-10 Added sample audio recordings for LNER J15, L&Y Class 27 3F., WD 2-8-0, Class 40 Diesel, BR Standard Class 4MT, Class 52 'Western' Diesel and Class 33 'Crompton' Diesel. 2015-01-09 Added new sound project for War Department WD 2-8-0 on Zimo to British Sounds library. 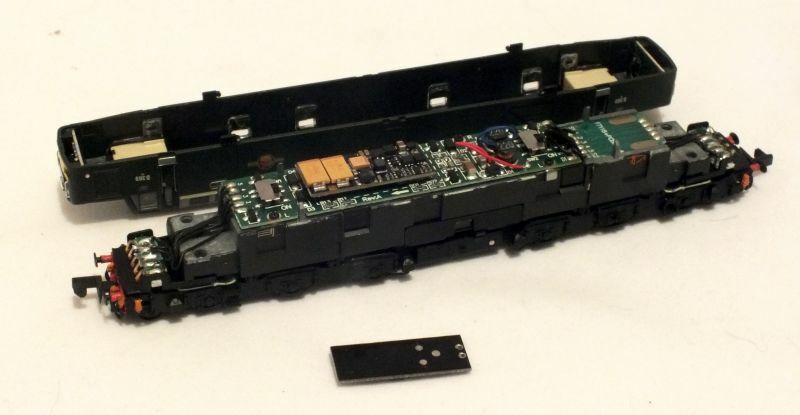 2015-01-09 Added new guide for installing Zimo DCC sound into Dapol N gauge Class 56 diesel. 2015-01-09 Added new guide for installing Zimo DCC sound into Dapol N gauge Class 35 Hymek diesel pair, including stay-alive. 2015-01-09 Added new sound project for LMS G2 (LNWR G2 Super-D 0-8-0) on Zimo to British Sounds library, includes audio track sample. 2015-01-09 All existing sound projects have F20 and F21 added as volume adjust keys. 2015-01-09 Added new sound project for LMS Midland Compound on Zimo to British Sounds library, includes audio track sample. 2015-01-09 Added sample audio recordings for GWR Steam Rail Motor and Class 60 Diesel. 2015-01-09 Added new guide for installing Zimo DCC sound into Hornby OO gauge BR Standard Class 8 'Duke of Gloucester' with SuperCap68 stay-alive. 2015-01-09 Added new BR Standard Class 8 'Duke of Gloucester' sounds on Zimo to British Sounds library, includes audio track sample. 2014-12-31 Listed newly certified fitters, David Atherton and Simon Howard . 2014-12-17 Added new sounds for GWR Steam RailMotor on Zimo to British Sounds library. 2014-12-16 Added sample audio recording so you can listen to the BR Standard 9F project. 2014-12-16 Update to Class 108 DMU sounds to use proper mechanical geared transmission, including sample audio recording. 2014-12-16 Update to Class 03 / 04 diesel shunter sounds to use proper mechanical geared transmission, including updated sample audio recording. 2014-12-10 Added new Class 86 electric sounds on Zimo to British Sounds library, includes audio track sample. 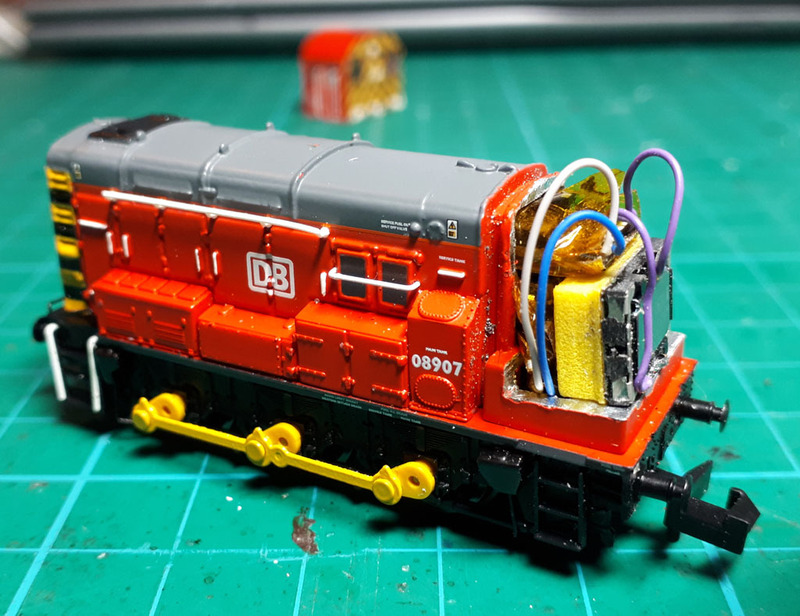 2014-12-09 Added new guide for installing Zimo DCC sound into Bachmann OO gauge Class 04 diesel with SuperCap68 stay-alive. 2014-12-09 Added new guide for installing Zimo DCC sound into Hornby King Arthur Class N15. 2014-12-09 Added new guide for installing Zimo DCC sound into Hornby SR Rebuilt Battle of Britain Class. 2014-12-09 Updated Class 08 'Gronk' diesel shunter sounds on Zimo to British Sounds library, includes audio track sample, with totally new engine recordings, as well as numerous other new FKey sounds. 2014-12-09 Updated LNER A3 (suitable for Flying Scotsman) sounds on Zimo to British Sounds library, includes audio track sample, providing updated whistles, chuffs and a new 'Kings Cross' announcement. 2014-12-09 Added brand new Class 04 (suitable for Class 03 too) diesel sounds on Zimo to British Sounds library, includes audio track sample, and retired the previous Class 03 project. 2014-11-09 Added brand new Class 56 diesel sounds on Zimo to British Sounds library, includes audio track sample. 2014-10-13 Added YouChoos individual Ready-To-Run model - Hornby OO Thomas the Tank Engine to shop. 2014-10-10 Added YouChoos individual Ready-To-Run model - Hornby Princess 'Duchess of Kent' to shop. 2014-10-09 Added product detail pages for Zimo sound decoders - click on the product image to see more. 2014-10-06 Added YouChoos individual Ready-To-Run model - Hornby Tornado to shop. 2014-10-05 Added photos for YouChoos individual Ready-To-Run models in shop. 2014-10-04 Zimo LS2040V 4ohm 2W speaker added to speaker shop page. 2014-10-04 New connectors, adapters and stay-alive kit added to electronics shop page. 2014-09-30 Small selection of YouChoos individual Ready-To-Run models available in shop. 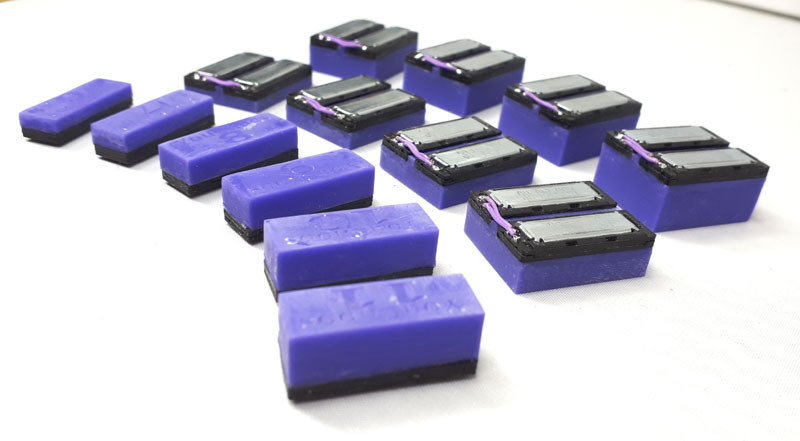 2014-09-30 New lower prices for some Zimo standard decoders and Zimo function decoders. 2014-09-21 Added CT SugarCube options to drop-downs when configuring YouChoos sound decoders. 2014-08-27 Basket now supports VAT-Free prices for non-EU destinations. 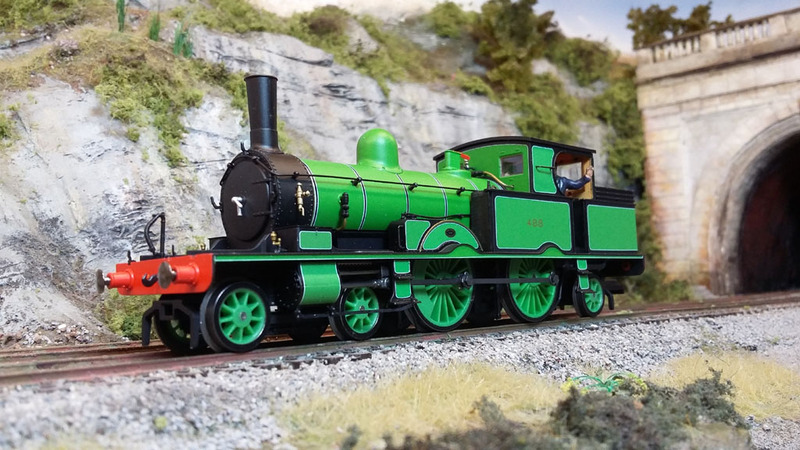 2014-08-22 Added new gallery page including video and photos for Bachmann OO J11 0-6-0 with Zimo sounds. 2014-08-22 Added new video and photos (wartime grey version) for Bachmann OO SECR Wainwright C with Zimo sounds. 2014-08-22 Added new video for Hornby OO LNER A4 with Zimo sounds. 2014-08-21 YouChoos is now registered for VAT in the UK! 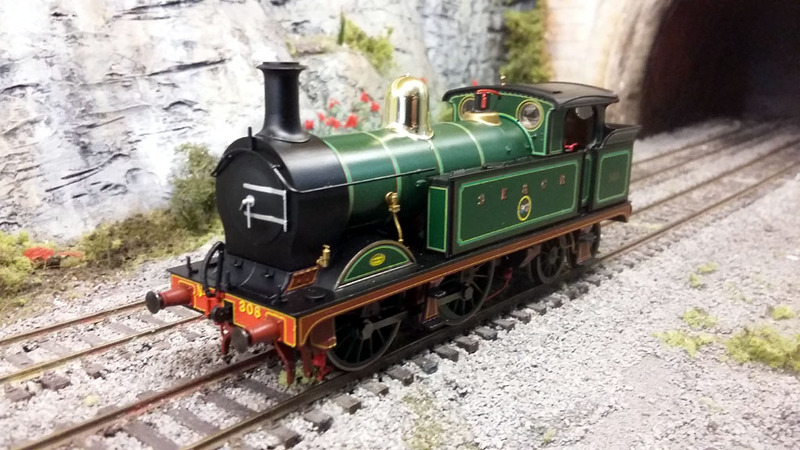 2014-08-13 Added new video for Hornby OO LB&SCR Terrier with Zimo sounds. 2014-08-13 Added new video for Hornby OO LNER B17 'Grimsby Town' with Zimo sounds. 2014-08-13 Added new video for Hornby OO Stanier 8F 2-8-0 with Zimo sounds. 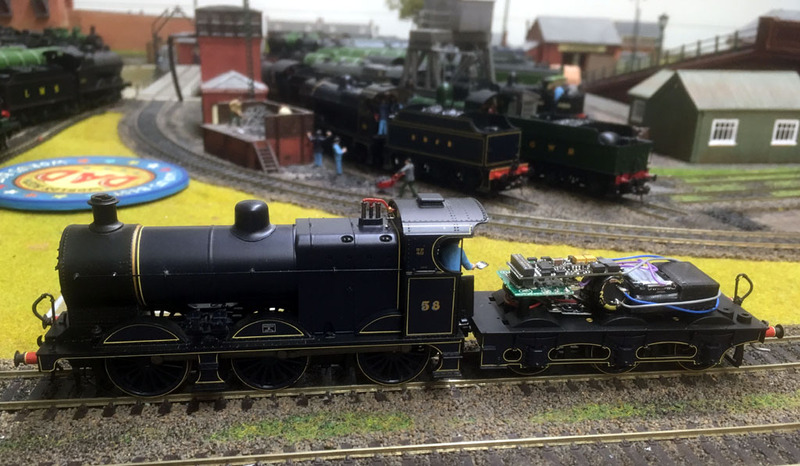 2014-08-13 Added new video for Hornby OO Standard Class 5MT with Zimo sounds. 2014-08-13 Added new video for Heljan OO Class 35 Hymek diesel with Zimo sounds. 2014-08-13 Added new video for Graham Farish N Gauge Class 46 Peak diesel with Zimo sounds. 2014-08-13 Added new video for Kernow OO Beattie Well Tank with Zimo sounds. 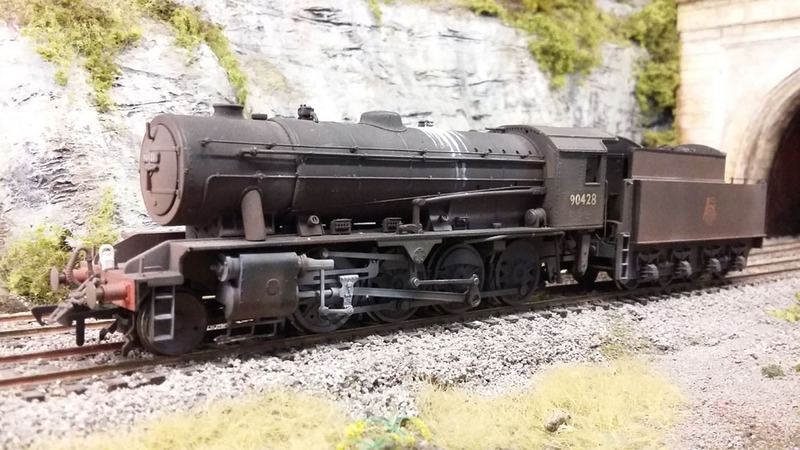 2014-08-13 Added new video for Bachmann OO Ivatt 4MT 2-6-0 with Zimo sounds. 2014-08-13 Added new video for Bachmann OO Class 66 diesel with Zimo sounds. 2014-08-13 Added new video for Bachmann OO Class 37 diesel with Zimo sounds. 2014-08-13 Added new video for Bachmann OO BR Standard 9F with Zimo sounds. 2014-08-13 Added new video for Heljan OO LMS Beyer Garratt with Zimo sounds. 2014-08-13 Added new video for Bachmann OO Class 24 diesel with Zimo sounds. 2014-08-12 Added new guide for installing Zimo DCC sound into Farish N gauge Class 46 'Peak' diesel. 2014-08-12 Added new example of Bachmann OO gauge Class 08 diesel, for installing Zimo DCC sound. 2014-08-12 Added new example of Bachmann OO gauge Class 24 diesel, for installing Zimo DCC sound. 2014-08-12 Added new photo-guide for Bachmann OO gauge Class 66 diesel, for installing DCC sound. 2014-08-12 Added new photo-guide for Hornby OO gauge Class 66 diesel, for installing DCC sound. 2014-08-12 Added new photo-guide for Hornby OO gauge J52 Saddle Tank, for installing DCC sound. 2014-08-12 Added new mini photo-guide for Bachmann OO gauge LMS 4F, for installing DCC sound. 2014-08-12 Added new photo-guide for Hornby OO gauge LNER B17, for installing DCC sound and lighting. 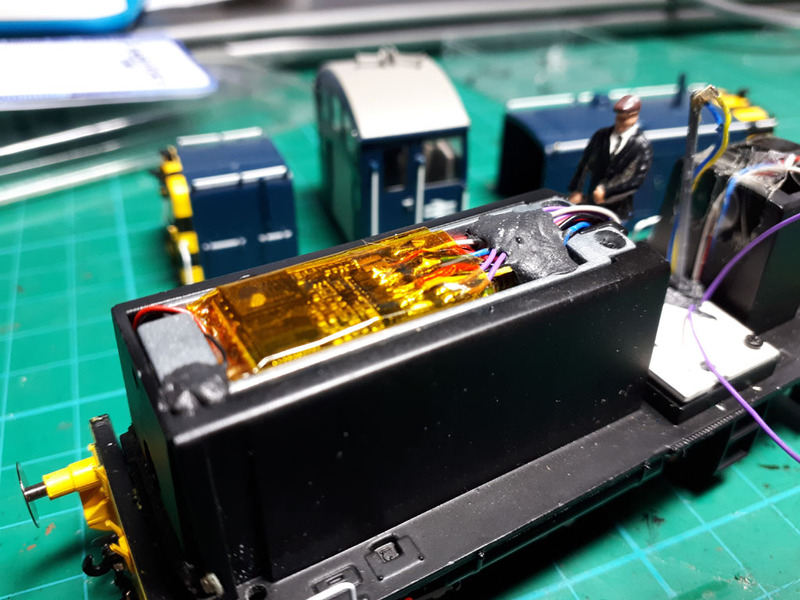 2014-08-12 Added additional information and photos to install guide for Farish N gauge Blue Pullman, for installing DCC sound using a Zimo sound decoder. 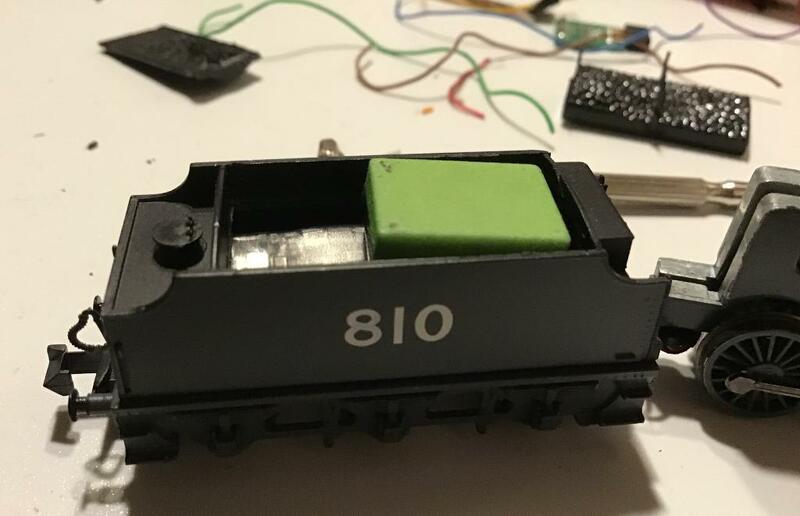 2014-08-12 Added new mini-guide for Bachmann OO gauge LMS 10000 diesel, for installing DCC sound using a Zimo sound decoder. 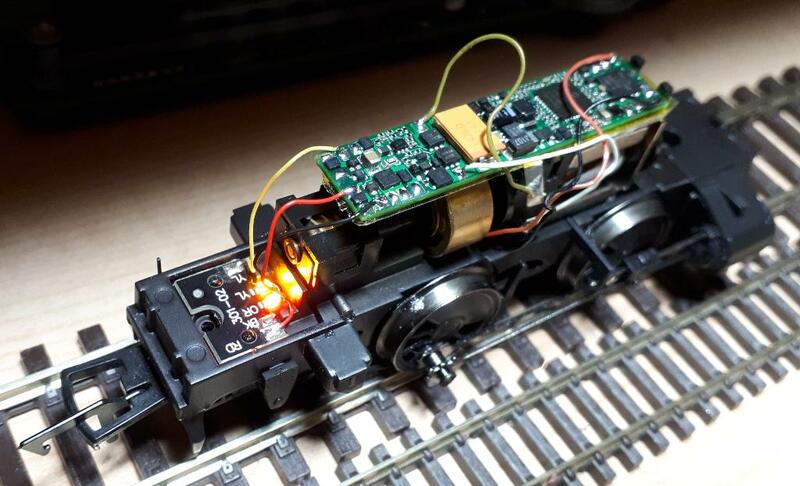 2014-08-12 Added new mini-guide for Bachmann OO gauge 4MT 2-6-0, for installing DCC sound using a Zimo sound decoder. 2014-08-12 Added new mini-guide for Farish N gauge Class 47 diesel, for installing DCC sound using a CT SL76 sound decoder. 2014-08-12 Improved project pages for GWR 2251 Collett Goods, GWR 28XX 2-8-0, GWR Pannier Tank, GWR Earl Class 3200 Dukedog, LMS 4F, LMS Beyer Garratt, LNER A2, LNER D11, Saddle Tank, Beattie Well Tank, BR Standard 5MT, GWR Diesel Railcar, Class 24/25, Class 35 Hymek, Class 44/45/46 Peak, Class 108 DMU, and Class 43* HST DMU, with new or multiple links to Gallery and Install Guide pages as appropriate. 2014-08-12 Added new gallery pages for Dapol N gauge HST, Bachmann OO Class 108 DMU, Heljan Class 35 Hymek, Heljan AC Railbus, Lima OO GWR Railcar, Bachmann LMS 10000 diesel, Bachmann Class 25 diesel, Bachmann Class 47 diesel, Bachmann Class 66 diesel, Hornby Class 66 diesel, Dapol N gauge Class 156 DMU, Dapol N gauge Class 35 Hymek diesel, Dapol N gauge LNER A3, Dapol N gauge GWR 14XX Tank, Farish N gauge Class 14 Teddy Bear, Farish N gauge Class 04, Hornby 8F, Hornby Standard 5MT, Heljan LMS Beyer Garratt, Bachmann LMS 4F, Bachmann LNER Robinson O4 2-8-0, Bachmann LNER D11, Bachmann LMS Midland Compound, Bachmann WD 2-8-0, Bachmann Ivatt 4MT, Bachmann GWR 2251 Collett Goods, Bachmann GWR Earl Class 3200 'Dukedog', Hornby GWR 14XX 0-4-2T, Hornby GWR 72XX 2-8-2T, GWR Pannier Tank, Hornby J52 Saddle Tank, Bachmann LNER A2 and Beattie Well Tank. 2014-08-12 New photos added to Gallery for Hornby M7 Tank, Bachmann N Class, Bachmann Standard 4MT, Hornby SR Battle of Britain / West Country Class, Hornby SR Schools Class, Hornby SR Merchant Navy, Hornby LNER A1 Tornado, Bachmann LNER A1 Tornado, Bachmann LNER A1 (not Tornado), Hornby LNER B17, Hornby LSWR N15 King Arthur, Hornby LMS Patriot / Royal Scot, Bachmann LMS 3F Jinty Tank, Bachmann LMS Stanier Tank, Bachmann LMS Jubilee, Hornby LMS Duchess, Hornby LMS Princess, Bachmann GWR Prairie Tank, Bachmann GWR Hall Class, Bachmann Class 03 diesel, Bachmann and Hornby Class 08 diesel, Bachmann Class 24, Bachmann Class 37, Hornby Class 50, Hornby Class 60, Bachmann 105 DMU, Bachmann 108 DMU, Dapol N gauge Britannia, Dapol N gauge LNER A4, Farish Class 08 diesel, andFarish Class 47. 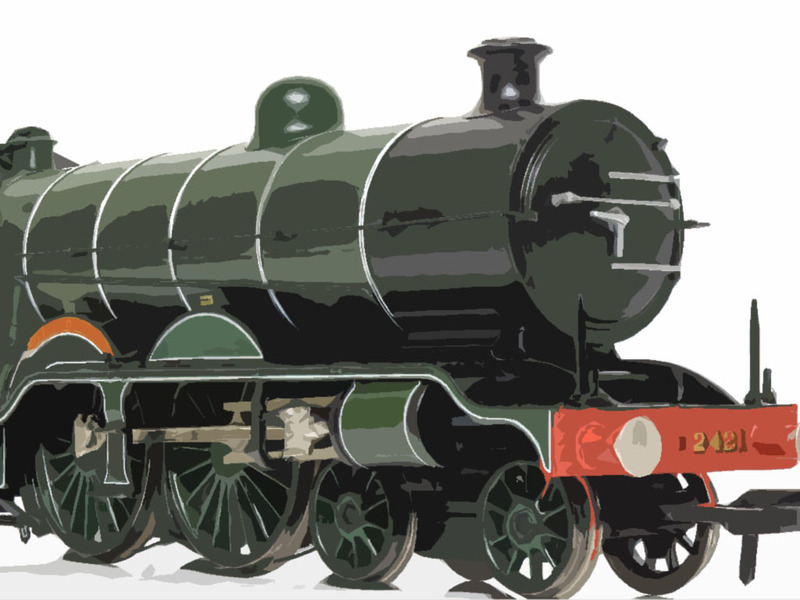 2014-08-07 Improved project pages for LNER A1, BR Standard 9F, BR Standard Britannia Class 7, GWR Hall Class, LSWR M7 Tank, GWR Prairie Tank, Terrier Tank, Class 08, Class 37, Class 42, Class 44/45, Class 47, Class 52, Class 60, Class 66/67, and Blue Pullman, with multiple links to Gallery and Install Guide pages as appropriate. 2014-08-06 Improved LNER A3 project page with multiple links to Gallery and Install Guide pages. 2014-08-06 Added new guide for Dapol N gauge A3, for installing DCC sound using a Zimo decoder and full-sized SugarCube speaker. 2014-08-06 Improved LNER A4 project page with multiple links to Gallery and Install Guide pages. 2014-08-06 Added new guide for Dapol N gauge A4, for installing DCC sound using a Zimo decoder and full-sized SugarCube speaker. 2014-07-22 Finally it is here - online purchasing! 2014-07-16 Updated shop pricing structure for sound decoders and speakers - cube speakers are no longer free, but are eligble for a discounted price when bought with a sound decoder. Sound decoder prices reduced, so the overall price is the same for a sound decoder + cube speaker pack. 2014-07-16 General restructure of website to improve response times. You may find that some of your bookmarks need updating, but performance is seriously improved! 2014-07-08 Added audio track for Class 158 DMU. 2014-07-08 Added audio track for Class 205 DMU 'Thumper'. 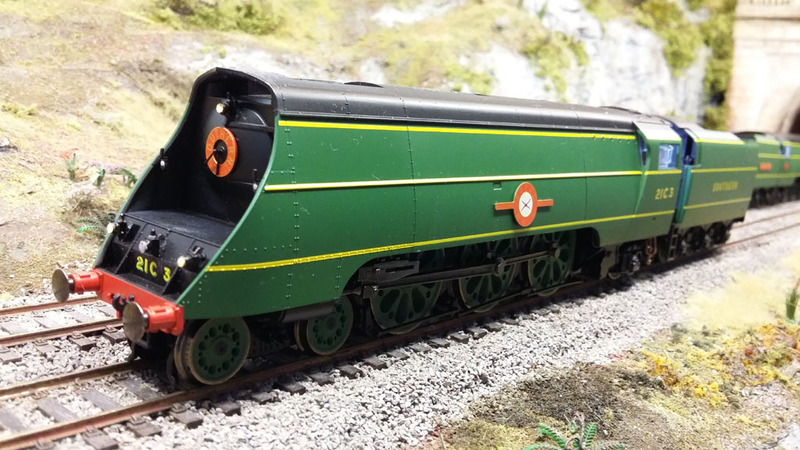 2014-07-08 Added new guide for Bachmann OO A4 Mallard, for installing DCC sound using a Zimo decoder - example and photos supplied by a customer. 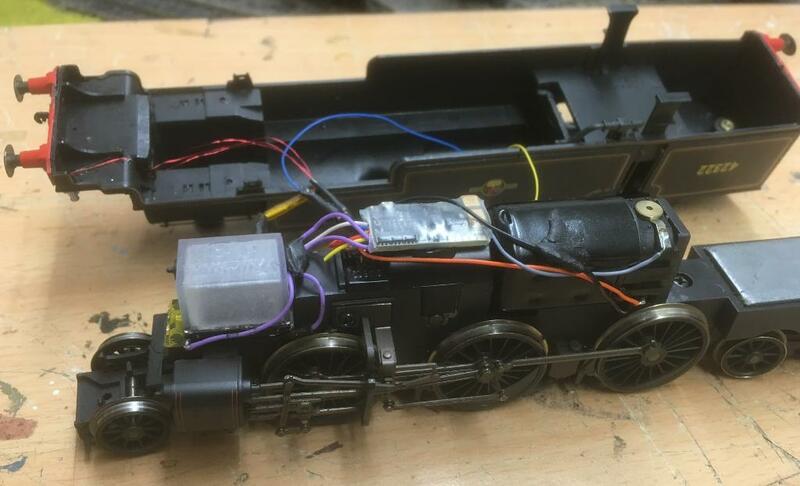 2014-07-08 Added new guide for Hornby OO 8F, for installing DCC sound using a Zimo decoder. 2014-07-08 Added new guide for Farish N gauge Class 55 (DP1) diesel, for installing DCC sound using a Zimo decoder. 2014-07-08 Added new mini-guide for Farish N gauge Class 37 diesel, for installing DCC sound using a Zimo decoder. 2014-07-08 Added new guide for Bachmann OO 3F Jinty, for installing DCC sound. 2014-07-08 Added new guide for Heljan/Hattons OO Beyer Garratt, for installing DCC sound. 2014-04-30 CT MicroCube speaker no longer available. 2014-04-29 Added Tony Aldam as an accredited fitter for OO and N gauge DCC sound, including lighting and smoke in OO - see partner fitting page for more details. 2014-04-25 Free postage no longer available - sorry! Due to ever increasing postal costs, this is no longer possible although postage rates charged for small packets are still lower than the actual cost to post! 2014-04-24 Blue Pullman sounds available on Zimo decoders - single sound decoder or paired dual sound decoder configurations. 2014-04-24 Added links to purchase online at partner websites. 2014-03-24 New steam sounds for Beyer Garratt available on Zimo decoders. 2014-03-24 New steam sounds for LMS 4F 0-6-0 available on Zimo decoders. 2014-02-25 New steam sound GWR 5600 'Taffy Tank' 0-6-2T available on Zimo decoders. 2014-01-29 New steam sound Beattie Well Tank 2-4-0 available on Zimo decoders. 2014-01-29 New diesel sound GWR Rail Car available on Zimo decoders. 2014-01-29 New steam sound LNER B17 4-6-0 available on Zimo decoders. 2014-01-29 2-BIL EMU sounds now available on Zimo decoders. 2014-01-29 Class 47 diesel sounds now available on Zimo decoders. 2014-01-07 Class 50 diesel sounds now available on Zimo decoders. 2014-01-07 Intercity/HST diesel sounds now available on Zimo decoders. 2013-12-17 Class 31 diesel sounds now available on Zimo decoders. 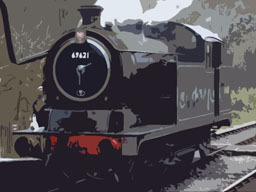 2013-12-17 New 2MT Ivatt sounds now available on CT and Zimo decoders. 2013-12-10 YouChoos announcement: to supply decoders and kit only - no longer offering installation services - see our list of partners for options. 2013-12-09 Class 44/45 'Peak' diesel sounds now available on Zimo decoders. 2013-12-01 New Voyager 221/220 sounds now available on Zimo decoders. 2013-12-01 Update Tornado/A1 sounds for Zimo decoders. 2013-11-21 Class 40 and Class 24/25 diesel sounds now available on Zimo decoders. 2013-11-09 Class 42 Warship diesel sounds now available on Zimo decoders. 2013-11-07 Class 35 Hymek and Class 66 diesel sounds now available on Zimo decoders. 2013-10-15 Class 08 and Class 20 sounds now available on Zimo decoders. 2013-08-15 Decoder layouts and solder pad information added for CT SL51-4, CT SL76, and CT SL82. 2013-08-15 Published a new CT Sound Decoder Manual that covers all current Revision 4 CT sound decoders. 2013-08-15 Updated the CT Technical References section with more information on Motor Tuning, Auto Decouplers, Smoke Generators, Lighting, Addressing, Stay-Alive Capacitors, and Analog/DC Running. 2013-08-14 Added new guide for Bachmann OO 108 DMU, with DCC sound and passengers. 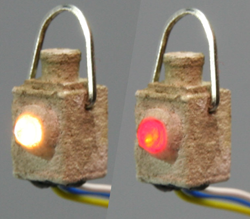 2013-08-14 Added new guide for Hornby OO M7, with DCC sound and firebox glow. 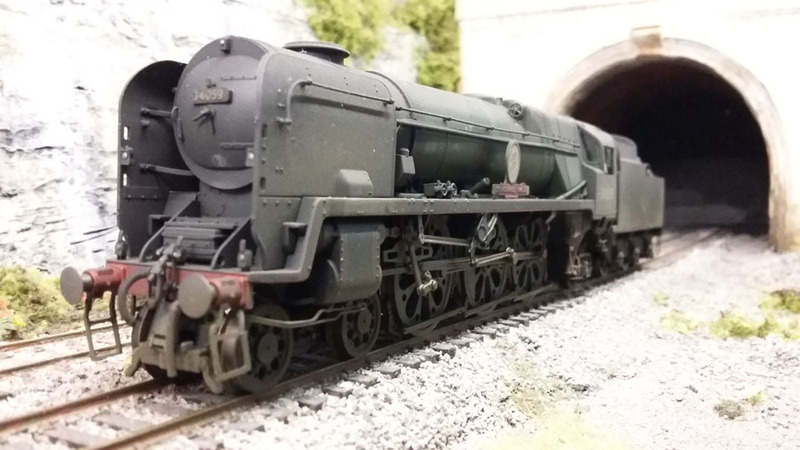 2013-08-14 Added new guide for Hornby OO Black 5, with DCC sound, smoke and lighting. 2013-08-14 Added new guide for Hornby OO Flying Scotsman Railroad (R3086) full-monty installation, with DCC sound, smoke and full lighting. 2013-08-14 Completed the Dapol N gauge HST sound installation guide, with more pictures and detailed descriptions, for a dual-sound configuration. 2013-08-14 Added another example to the Bachmann N Class DCC Sound Installation Guide, with more pictures and information on the speaker installation. 2013-08-14 New installation guide for Bachmann OO 4MT Tank with DCC Sound. 2013-08-14 Added more detailed photographs and descriptions for Dapol N gauge LNER A4 steam DCC Sound Installation Guide. 2013-07-03 Updated version (1.6) of YouChoos CT SoundProg software launched, updated suggested firmware for reliable loading on Win7 and 64-bit systems. 2013-06-30 New photos for Graham Farish N gauge Blue Pullman with yellow ends added to Gallery. 2013-06-29 Updated Weathering services page - with new example of heavily weathered Bachmann 9F, including rust and limescale effects. 2013-06-29 Added Hornby Thomas the Tank Engine DCC Sound Installation Guide. 2013-06-20 Completed the Graham Farish Class 37 DCC Sound Installation Guide - the most detailed installation guide so far, revealing the entire process to transform a Class 37 into an all-singing, all-dancing DCC beast. 2013-06-19 Completed Dapol N gauge Terrier steam DCC Conversion Guide, adding text. 2013-06-19 Completed Dapol N gauge Britannia steam DCC Sound Installation Guide, adding text. 2013-06-19 Completed Dapol N gauge LNER A4 steam DCC Sound Installation Guide, adding text. 2013-06-17 Completed Bachmann N Class DCC Sound Installation Guide, adding text. 2013-06-18 Completed Bachmann 08 diesel DCC Sound Installation Guide, adding text. 2013-06-18 Restructured CT Reference Pages providing new technical papers for various features. 2013-06-18 Refreshed Useful Links page. 2013-06-18 Updated Weathering services page - more detail of options, and example gallery. 2013-06-18 Added Dapol N gauge Terrier DCC conversion Installation Guide - photos only for now. 2013-06-17 Added Dapol N gauge Britannia steam DCC Sound Installation Guide - photos only for now. 2013-06-17 Added Dapol N gauge LNER A4 steam DCC Sound Installation Guide - photos only for now. 2013-06-17 Added Graham Farish Class 66 DCC Sound Installation Guide - photos only for now. 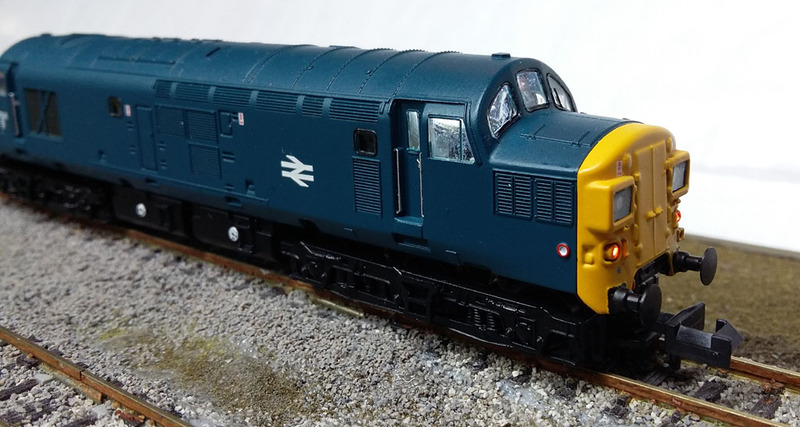 2013-06-17 Added Graham Farish Class 37 DCC Sound Installation Guide - photos only for now. 2013-06-17 Added Bachmann N Class DCC Sound Installation Guide - photos only for now. 2013-06-17 Added Bachmann 24 diesel DCC Sound Installation Guide - mini guide. 2013-06-17 Added Bachmann 08 diesel DCC Sound Installation Guide - photos only for now. 2013-06-17 Restructured Installation Guides, for easier navigation. 2013-05-27 Updated version (1.5) of YouChoos CT SoundProg software launched, used CV49=10 as default for all diesel/electric projects to avoid 'drop-out' of engine sound on motor stop (thanks to Alfred Nusser for this hint). 2013-04-19 Icons added for some types of items in the What's New page (this page!). 2013-04-15 Speed-matching video added for Bachmann OO Blue Pullman to fitting guide. 2013-04-13 Another video added for Bachmann N Class as well as additional photos. 2013-04-13 Added 2-BIL EMU sounds to British Sounds library - lots of clickety-clack! 2013-04-07 Added new example of Hornby A3 to Gallery. 2013-04-06 Added new example of Hornby Q1 to Gallery. 2013-04-06 Added new example of Hornby Schools Class to Gallery. 2013-04-06 Added new examples of Bachmann Class 37 diesel to Gallery. 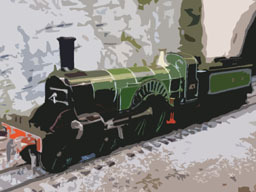 2013-04-06 Added new example of Hornby A4 to Gallery. 2013-04-06 Added new example of Bachmann 9F to Gallery. 2013-04-06 Added new example of Hornby Merchant Navy Class to Gallery. 2013-04-06 Added new example of Hornby Princess Class to Gallery. 2013-04-06 Added new example of Hornby Duchess Class to Gallery. 2013-04-06 Added Bachmann Patriot Class to Gallery. 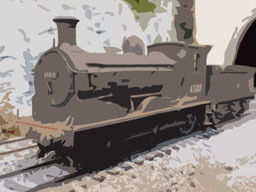 2013-04-06 Added kit-built Wainwright 'H' 0-4-4 to Gallery. 2013-04-06 Added Bachmann Class 20 to Gallery. 2013-04-06 Added new example of Hornby Class 156 DMU to Gallery. 2013-04-06 Added Hornby GWR 2-8-0 to Gallery. 2013-04-06 New pictures added for Hornby N15 King Arthur Class to Gallery. 2013-04-06 New pictures added for Hornby Stanier Tank to Gallery. 2013-04-06 New pictures added for Hornby Hogwarts to Gallery. 2013-04-06 New pictures added of Hornby 9F Evening Star to Gallery. 2013-04-06 Added Bachmann Warship Class 42 to Gallery. 2013-04-05 Added new example of Bachmann N Class to Gallery. 2013-04-05 Added new examples of lit and populated OO coaches to Gallery. 2013-04-05 Added new example of Hornby NRM Exclusive Edition wartime black Flying Scotsman to Gallery. 2013-04-05 Added Bachmann 4MT Tank to Gallery. 2013-04-05 Added new examples of Bachmann Prairie Tank in Gallery. 2013-04-05 New examples added for Hornby M7 in Gallery. 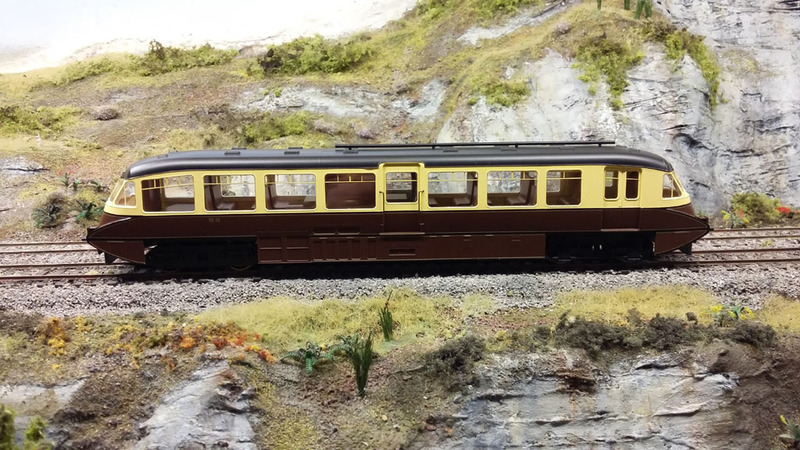 2013-04-05 Hornby GWR Autocoach added to Gallery. 2013-04-05 Dapol N gauge Class 67 added to Gallery. 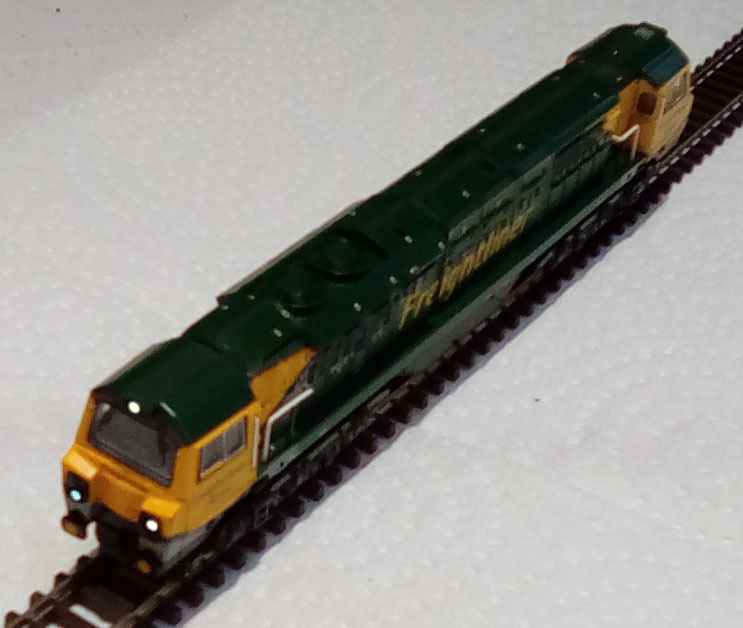 2013-04-05 Graham Farish N gauge Class 60 added to Gallery. 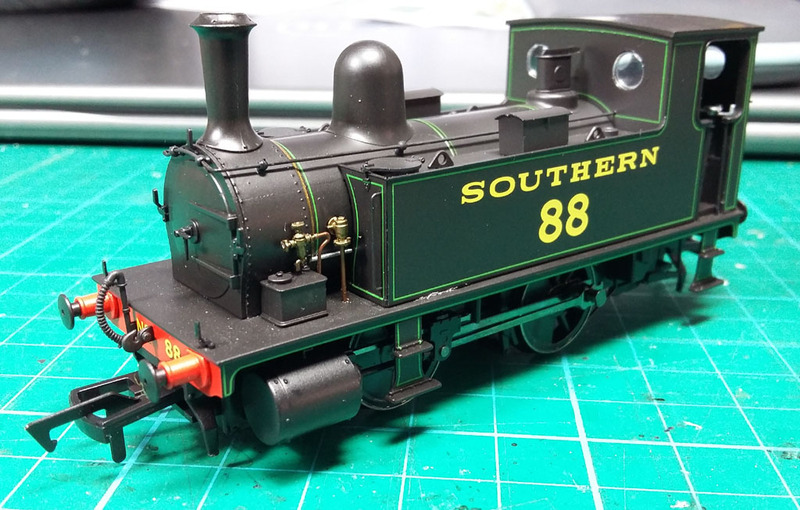 2013-04-05 Graham Farish N gauge Class 08 added to Gallery. 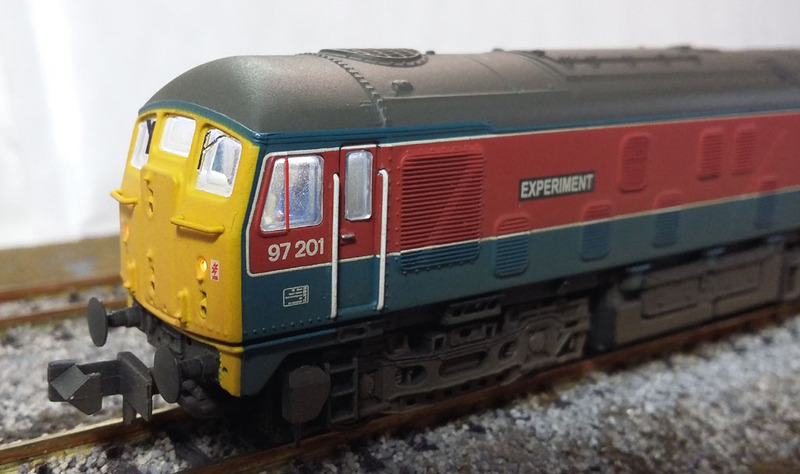 2013-04-05 Dapol N gauge Class 73 added to Gallery. 2013-04-05 Graham Farish N gauge Blue Pullman DMU added to Gallery. 2013-04-05 Bachmann OO Blue Pullman DMU added to Gallery. 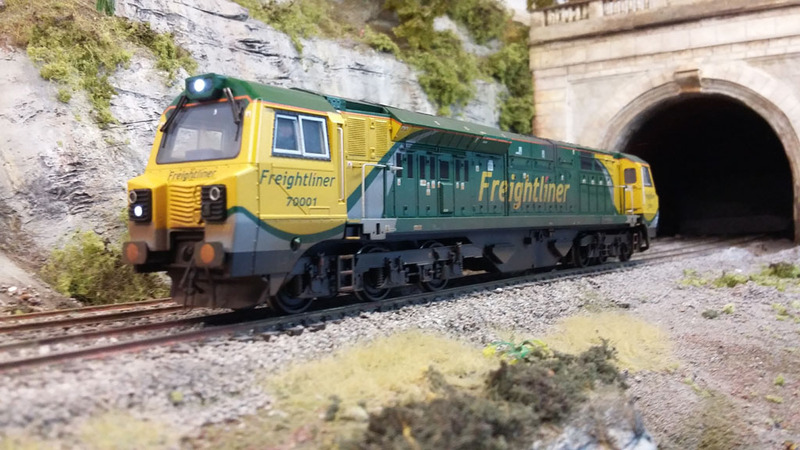 2013-04-05 Graham Farish Class 66 diesel added to Gallery. 2013-04-04 Bachmann Lord Nelson Class added to Gallery. 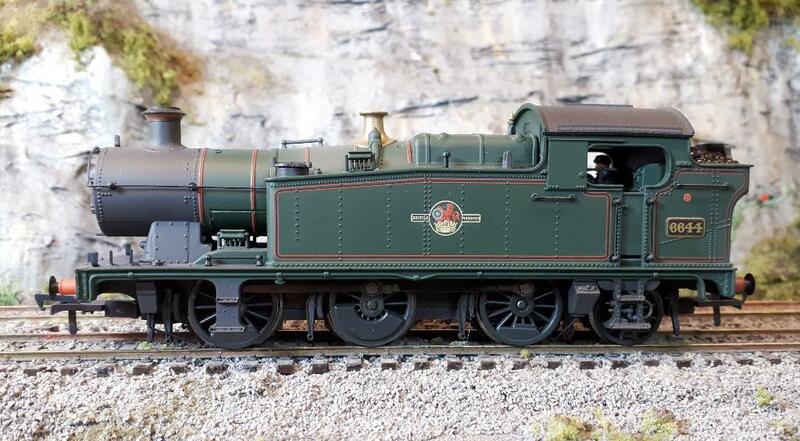 2013-04-04 New examples of Bachmann Fairburn 2-6-4T Tank added to Gallery. 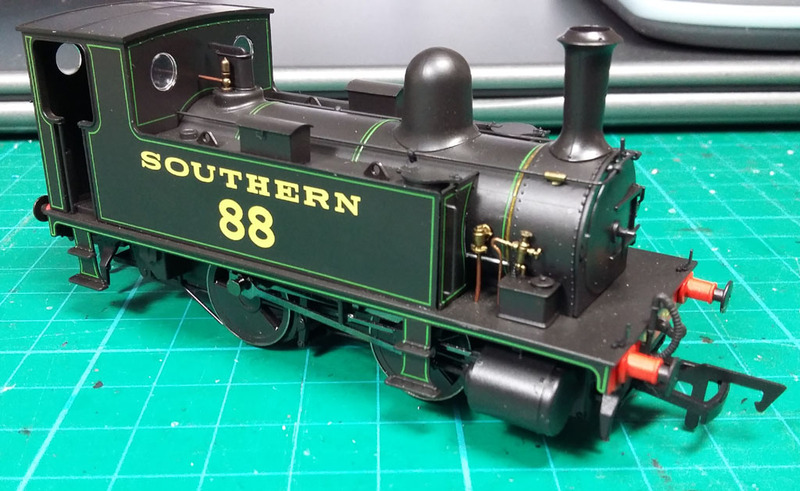 2013-04-04 Hornby Terrier added to Gallery. 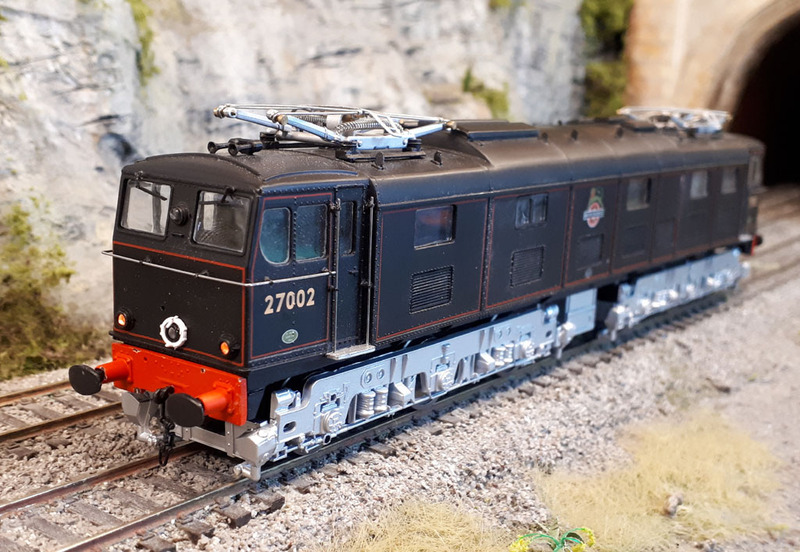 2013-04-04 Bachmann Class 24 diesel added to Gallery. 2013-04-04 Added new example of Hornby Railroad Flying Scotsman to Gallery. 2013-04-04 Added new example of Hornby Battle of Britain Class to Gallery. 2013-04-04 Added new example of Hornby Britannia to Gallery. 2013-04-04 Added new examples of Bachmann Standard 3MT Tank to Gallery. 2013-04-04 Added new example of Graham Farish Class 37 to Gallery. 2013-04-04 Added new examples of Hornby and Bachmann Class 08 diesel to Gallery. 2013-04-04 Added Dapol N gauge light-bar ready coaches to Gallery. 2013-04-04 Added Hornby Class 67 to Gallery. 2013-04-03 Added Heljan Class 52 Western to Gallery. 2013-04-03 Added N15 King Arthur 4-wheel tender photos to Gallery. 2013-04-03 Updated smoke generator fitting guide, adding Bachmann Wainwright C as an example. 2013-04-03 Updated install guide for Farish DMU with new example of Farish 108 DMU using CT DCX76 decoder in dummy and LokSound 3.5 in motor car. 2013-03-13 Corrected technical details for CT GE76 decoder... it has 4 functions, not 2 as previously stated. It is therefore identical to the SL76, but without the motor outputs. 2013-03-12 Updated version (1.4) of YouChoos CT SoundProg software launched, includes German translation (courtesy of 1001-Digital) and updated decoder pictures. 2013-03-11 Added installation guide for DCC Sound in a Farish 08 diesel. 2013-03-11 Added installation guide for Dapol N Gauge Class 67 diesel. 2013-03-11 Added installation guide for DCC sound in Dapol N Gauge light-bar ready coaches. 2013-03-11 Added installation guide for Dapol N Gauge Voyager. 2013-03-11 Added Updated DCC Sound installation guide for older Farish diesels - new photos and details of a Farish Peak Class 44/45 installation. 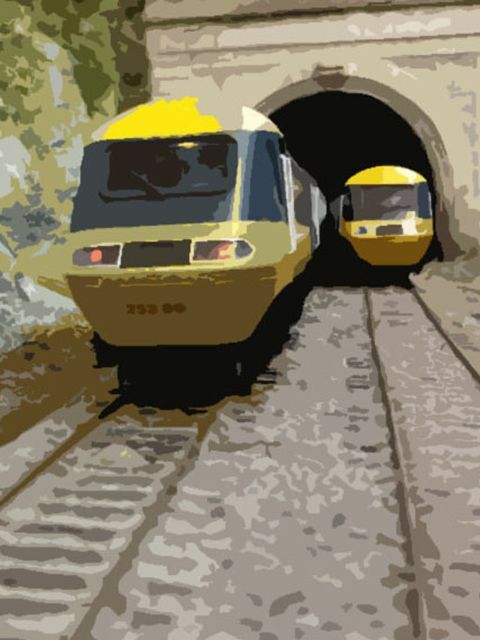 2013-03-10 Added Class 108 DMU sounds to British Sounds library - best DMU sounds yet! 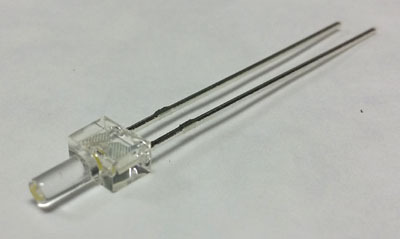 2013-02-11 Availability of CT's tiny GE76 sound-only decoder. 2013-02-11 General refresh of prices, stock etc. 2013-01-23 Added Bachmann OO Blue Pullman DCC sound installation guide. 2013-01-23 Added Graham Farish N gauge Blue Pullman DCC sound installation guide. 2012-10-01 Updated version (1.3) of YouChoos CT SoundProg software launched. 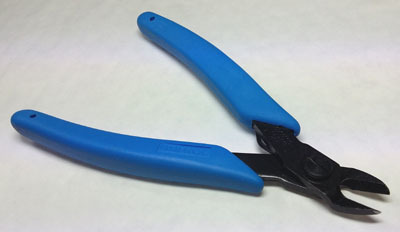 2012-08-01 Published a large collection of DIY Installation Guides for a variety of equipment and models. 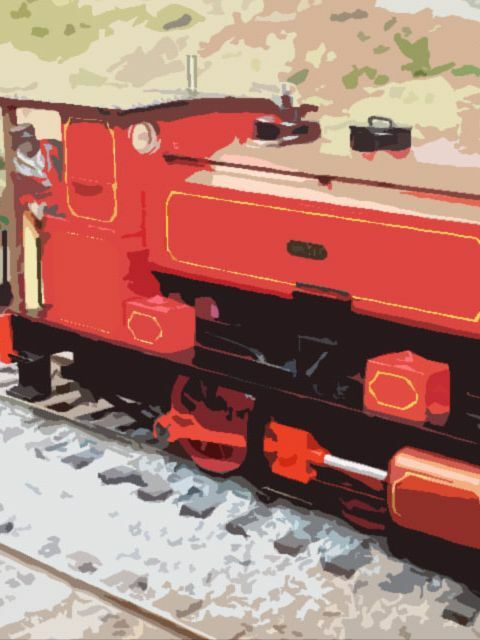 2012-03-19 British Sounds updated to show forthcoming 03 and 08 diesel shunter sounds. 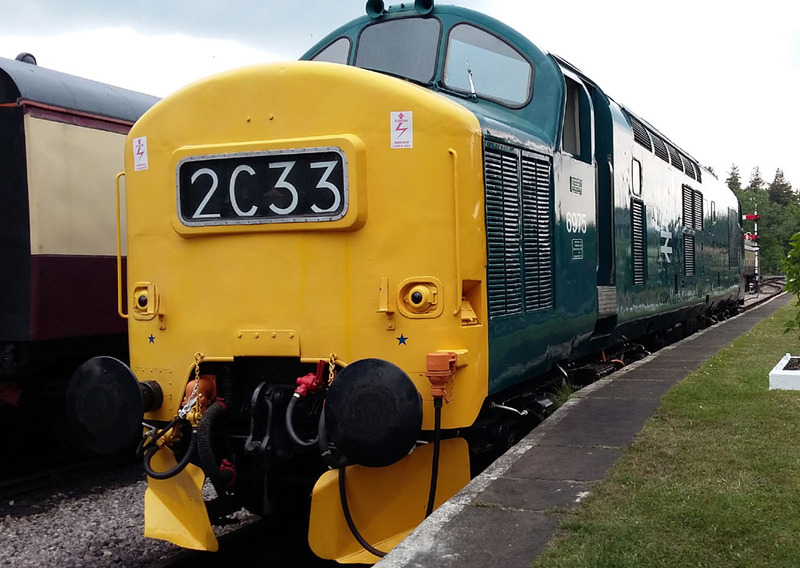 2012-03-19 Added Class 40 Diesel sounds to British Sounds list. 2012-03-19 YouChoos' Class 60 sounds improved and updated (British Sounds). 2012-02-22 Updated British Sounds list, including new 7F sounds availability. 2012-02-16 Updated British Sounds list, including new Pannier Tank and A2 sounds availability. 2012-01-30 Updated British Sounds list, including new Jinty 3F sounds availability. 2012-01-04 Added various Zimo decoders to the decoder commentary. 2012-01-04 Updated CT decoder specifications to state that a 'Stay-Alive' capacitor is natively supported by all CT sound decoders. 2012-01-04 Added Graham Farish N diesels Class 50, 60 and 66 to shop. 2012-01-04 Added lit/populated Graham Farish N coaches to shop. 2012-01-04 Updated British Sounds list, including new T9 sounds availability. 2011-12-07 Updated British Sounds list, including new Standard 4MT Tank availability. 2011-11-07 Added Class 66 sounds to British Sounds page. 2011-10-20 Updated Hornby A4 video in Gallery. 2011-10-20 Updated Fairburn 4MT Tank steam sounds launched! 2011-10-20 Updated Class A4 steam sounds launched! 2011-10-20 Added a new video of Graham Farish Class 42 'Warship' to Gallery, including scenes from Jerry Clifford's "Highbury Colliery" in 2mm Fine Scale. 2011-10-20 Added new video of Graham Farish Class 47 to Gallery and Shop, including scenes from Jerry Clifford's "Highbury Colliery" in 2mm Fine Scale. 2011-10-20 Added new video of Graham Farish Class 37 to Gallery and Shop, including scenes from Jerry Clifford's "Highbury Colliery" in 2mm Fine Scale. 2011-10-13 Added more photos and examplse of Graham Farish Class 37 to Gallery, including shots on Jerry Clifford's "Highbury Colliery" in 2mm Fine Scale. 2011-10-13 Added more photos and examples of Graham Farish Class 47 to Gallery, including shots on Jerry Clifford's "Highbury Colliery" in 2mm Fine Scale. 2011-10-13 Added more photos and examples of Graham Farish Class 44 'Peak' to Gallery, including shots on Jerry Clifford's "Highbury Colliery" in 2mm Fine Scale. 2011-10-13 Added more photos and examples of Graham Farish Class 42 'Warship' to Gallery, including shots on Jerry Clifford's "Highbury Colliery" in 2mm Fine Scale. 2011-07-31 Added new photos of 'Herring Gull' to Hornby A4 Gallery page - lighting added to Hornby sound-fitted model. 2011-07-29 Added CT GE75 sound-only decoder to British Sounds page, to the decoder commentary and to the CT Rev4 reference commentary, as well as references to GE75 in various places. 2011-07-20 Added 'More' buttons to Fitting Services page. 2011-07-20 'What's New' page added (this page!). 2011-07-20 Basket modified to clarify how ordering can be done.